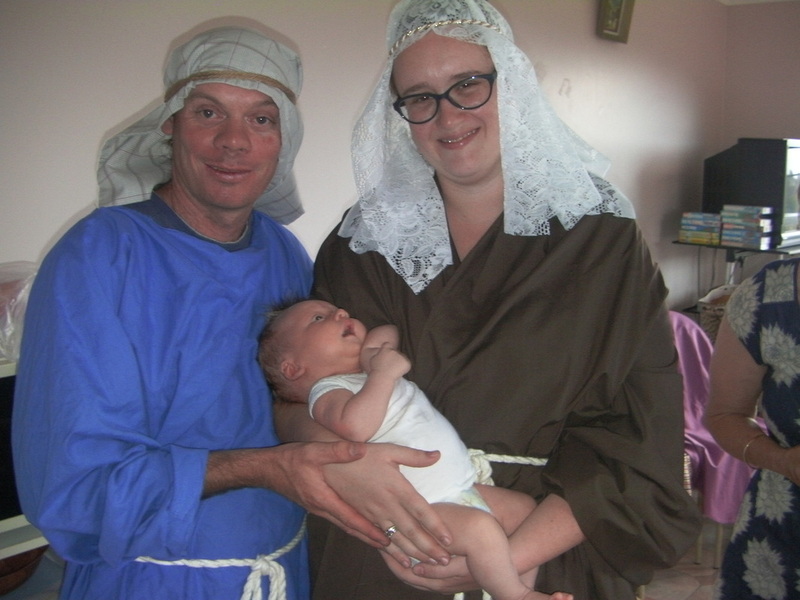 Rev'd Mandy Wheatley appointed new Families minister in the parish. 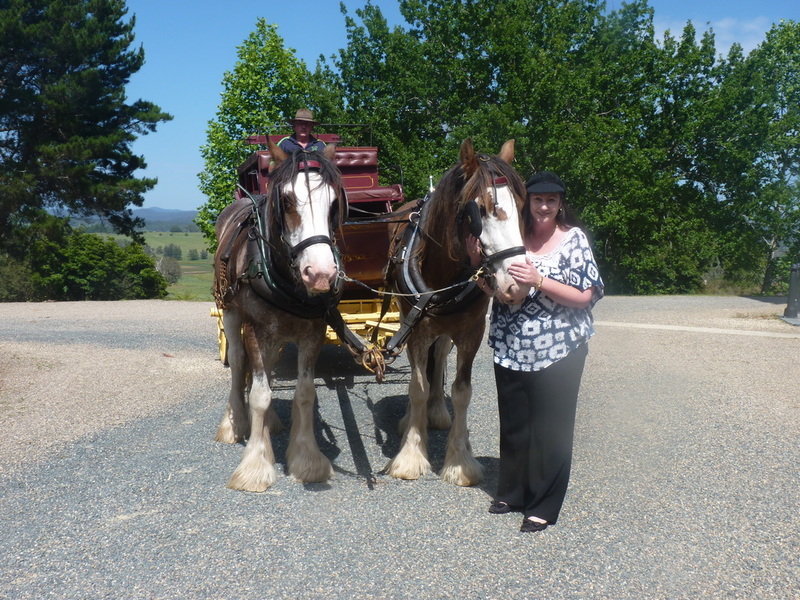 Mandy is married to Michael and they have two grown sons living in Newcastle. Therefore Mandy found a lasting love of noise, play, learning new games and teaching Scripture at schools where ever they lived. 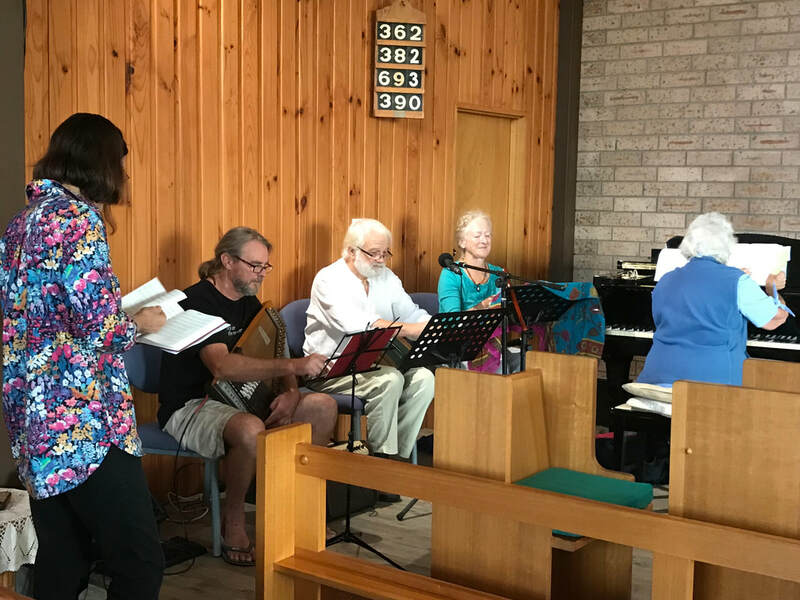 ​Mandy will be employed one day a week, co-ordinating both Mainly Music and Messy Church this year, as well as teaching Scripture at Narooma and Bodalla Public Schools. 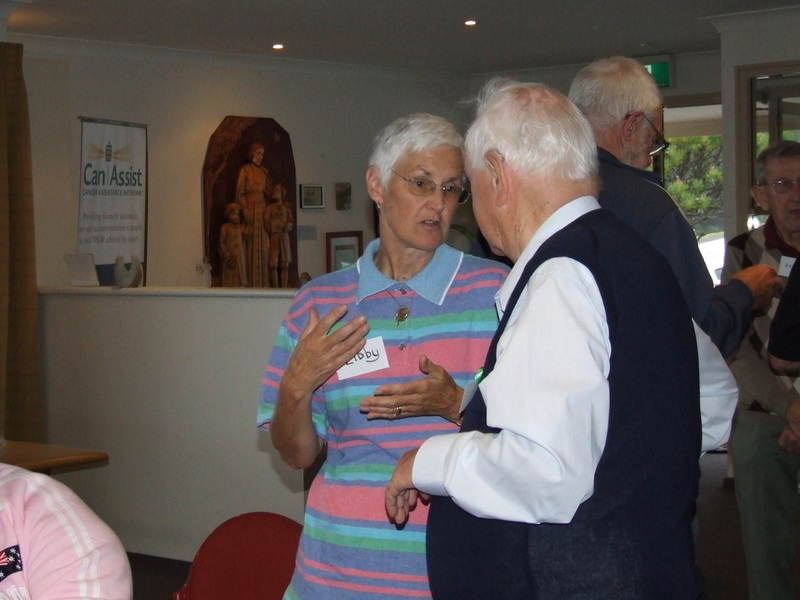 In addition to her stipendiary day, Mandy continues to give generously of her time and gifts, leading an ecumenical meditation group, caring pastorally for the many people with whom she comes into contact, and co-ordinating the monthly staff meetings. 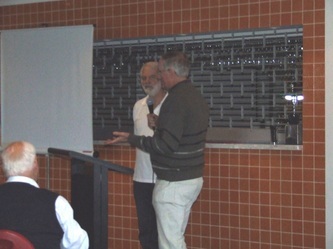 Rev'd Tim becomes chaplain to South Coast Anglican College, Bega. Tim has been Youth and Families minister in our parish through 2018. 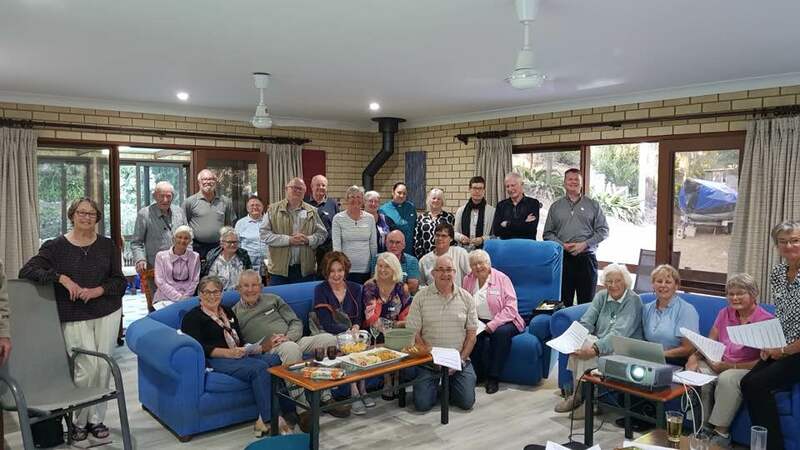 With assistance from the Pelican Foundation (under the auspices of the Anglican Diocese of Canberra and Goulburn) the parish was able to engage Tim a day and a half a week as our Youth & Families minister. 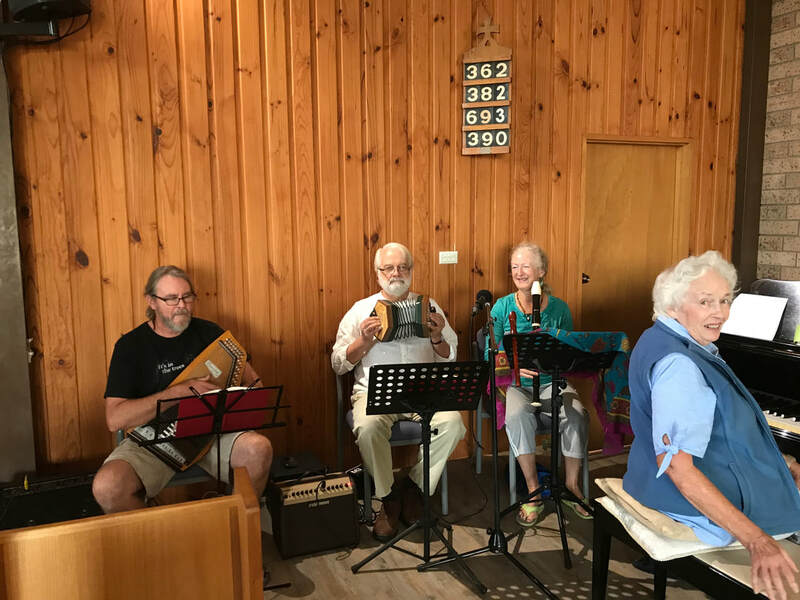 In that role, Tim was responsible for our Mainly Music programme, taught Scripture at Narooma Public school, assisted with Messy Church and helped establish Narooma's new ecumenical youth group, based at the Uniting Church. 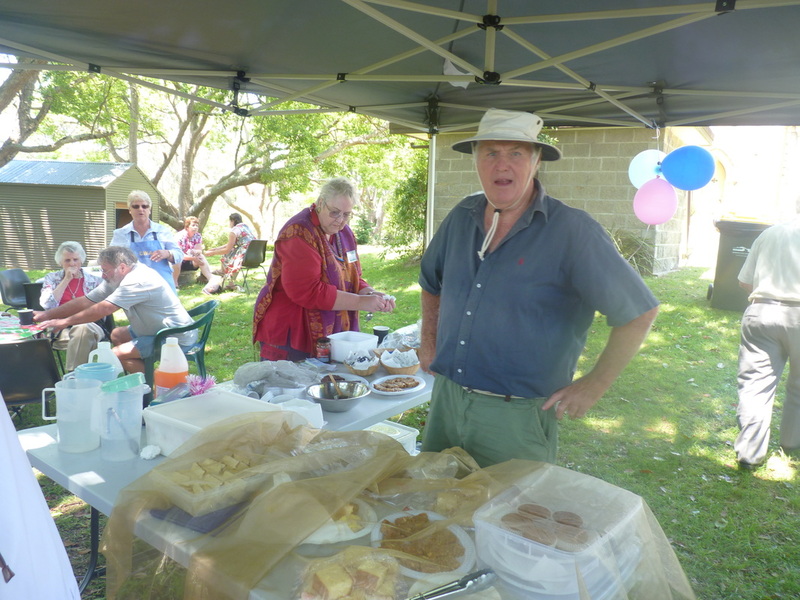 In addition to all his youth and family work, Tim has been the minister in the neighbouring parish of Bermagui/Cobargo/Quaama for three and a half days a week. 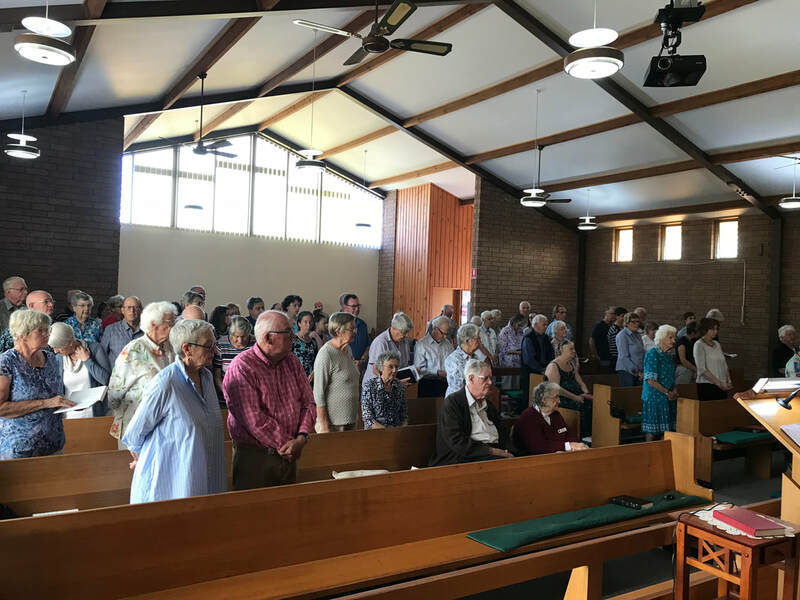 This year, Tim takes up the role of chaplain at the South Coast Anglican college in Bega, and continues as minister of Bermagui/Cobargo/Quaama. Sadly there are not enough days in the week for Tim to continue as out Youth and Families' minister in our parish. We have had a great year with Tim, and are sad to see him go. 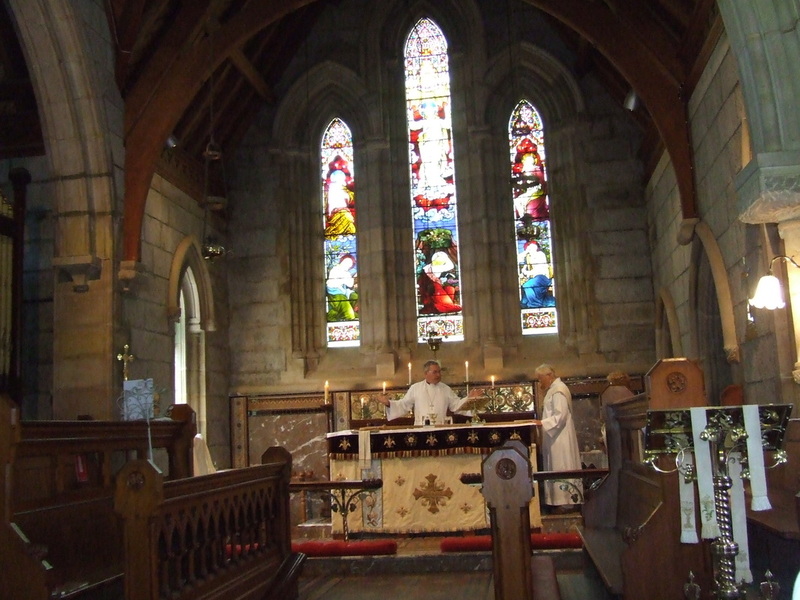 However, we have arranged a 'pulpit swap' once a month, with Rev'd Carol and Rev'd Tim exchanging Sunday duties in each other's parishes. This will enable Tim to continue his contact with our parish, and enable Rev'd Carol to get to know our neighbouring parish better. 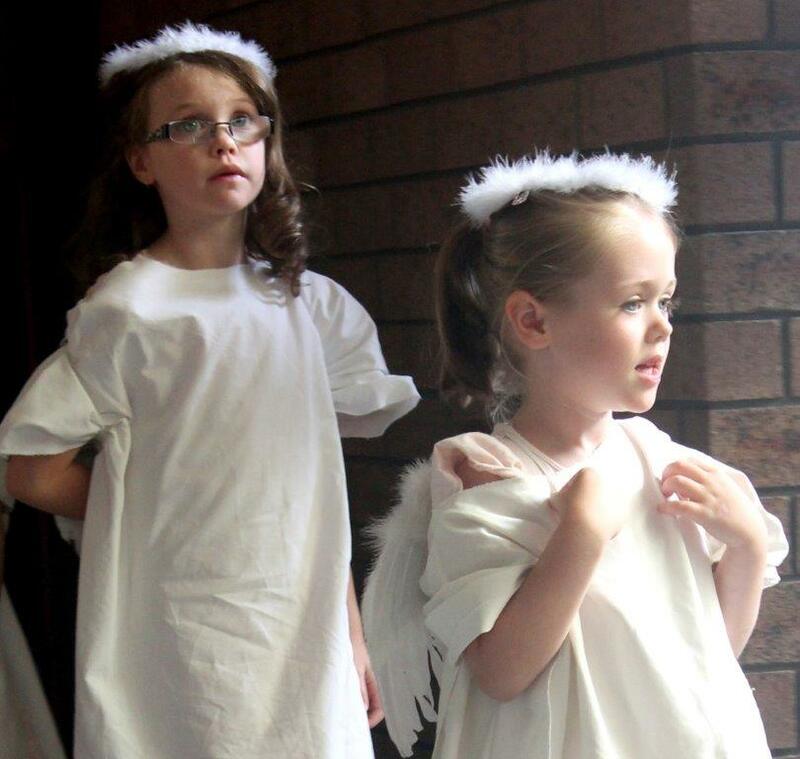 CHILDREN OFF NAURU - THE BELLS WILL RING! 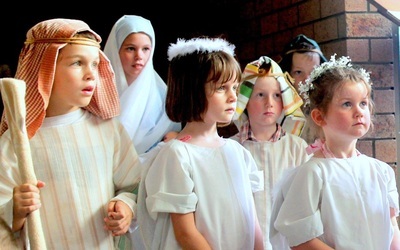 At St Paul's Anglican Church, Narooma on Friday 2nd, 9th & 16th of November from 5.00-5.30pm, people from all faiths and beliefs are invited to gather in solidarity to light a candle, sit, pray, think, to protest against the detention of children on Nauru and to express their support to bring them to Australia by WORLD CHILDREN'S DAY on November 20th. The church bell will ring 50 or so times, one for each child still in Nauru, as the bells will ring in cathedrals and churches around Australia. Come and go as you wish. 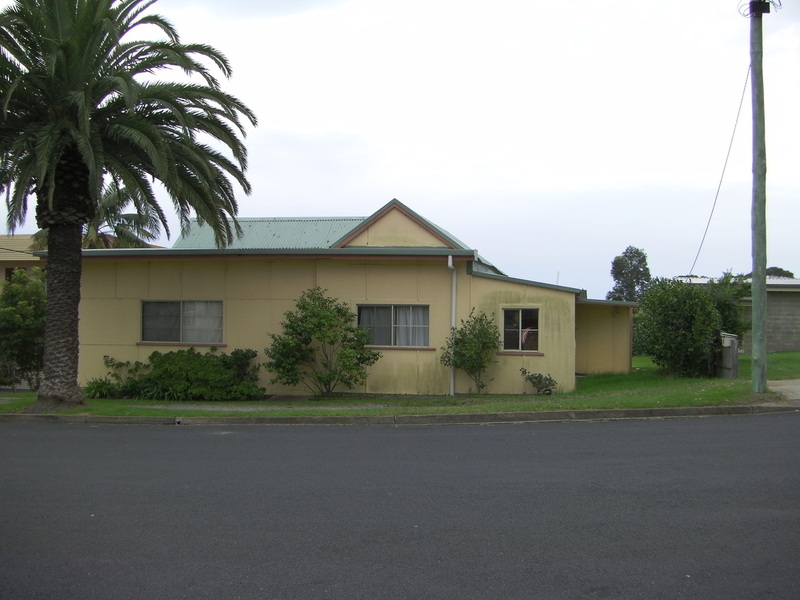 13 Tilba St, Narooma. 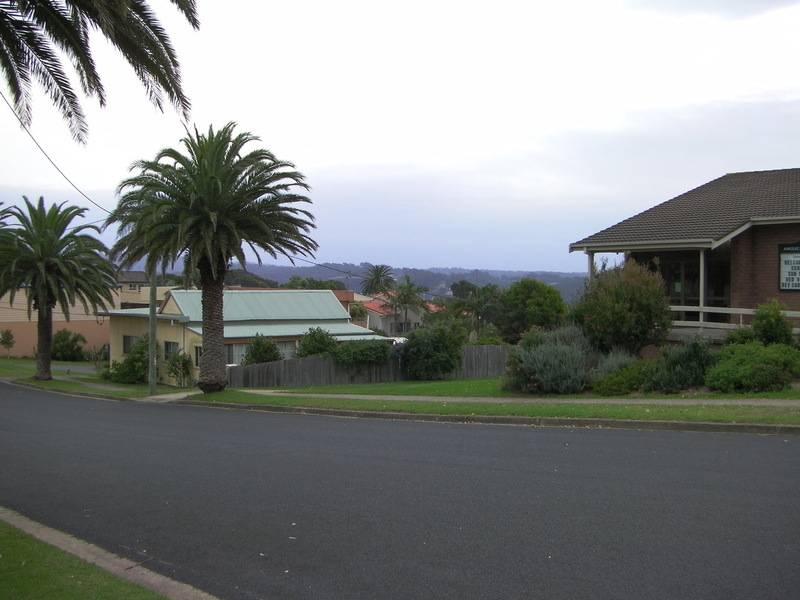 VISION RADIO NOW TRANSMITTING IN BODALLA! 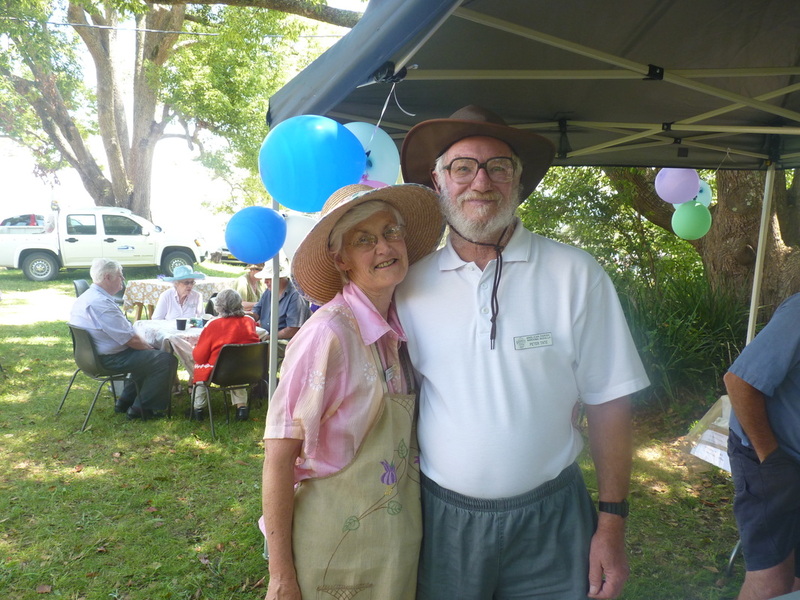 VISION RADIO IS FINALLY LIVE IN BODALLA! Turn to 87.6 on your FM dial! After a two year journey of fundraising and mountains of red tape, Vision Radio is finally transmitting in Bodalla! This success has been due in no small part to the sheer determination and tenacity of Di McMartin who just wouldn't give up. God bless Di! Our sincere thanks to God and to Di for all her hard work! VISION RADIO IN NAROOMA is 88.0 on your FM dial. Taizé is the name of a village in southeastern France. This type of prayer originated in the early 1940’s. The founder, Brother Roger Schultz, was 25 years old. It was during World War II when he felt compelled to create a community where simplicity and kind-heartedness would be lived out. Taizé is a unique style of worship that has become very popular in churches and retreat centres throughout the world. The singing of distinctive and repeated prayer chants during candlelit prayer services is one of its trademarks. The Taizé music highlights simple phrases, usually lines from Psalms or other pieces of scripture, repeated or sung in canon. The repetition is designed to help meditation and prayer, singing and silence playing a large part of the service. 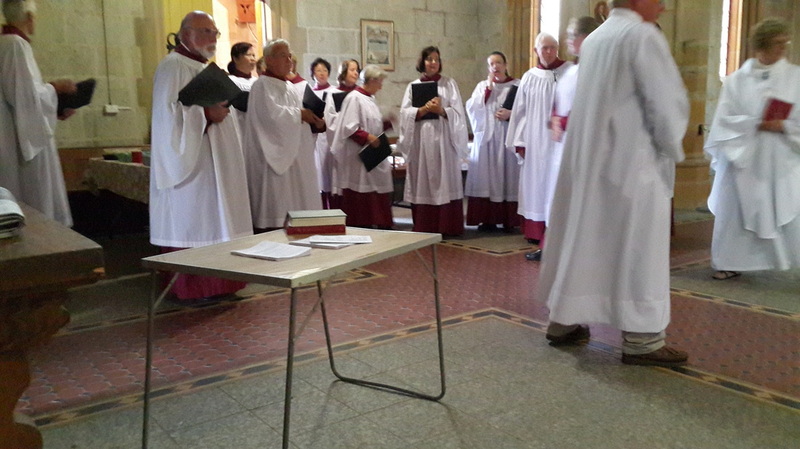 The structure of the service includes hymns, psalms, a scripture reading and intercessions. 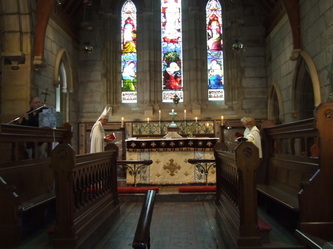 Answer: The front pew is vacant. 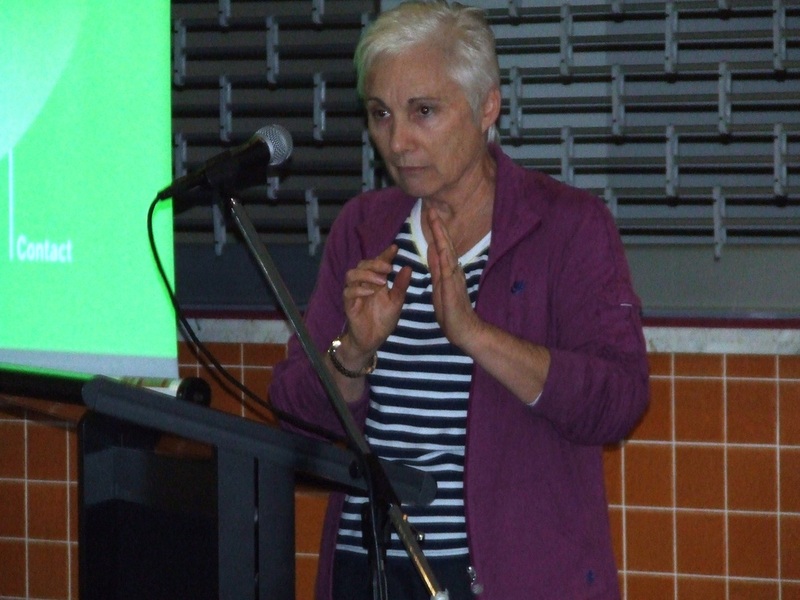 Thursday 25th January, 2018, the night before Australia Day, Club Narooma hosted the award ceremony for the Narooma Australia Day Awards, and our own Ven Carol Wagner delightedly received an award for the Mainly Music Ministry. Rev Carol took other members of the team with her and spoke about the Ministry as she accepted the award. 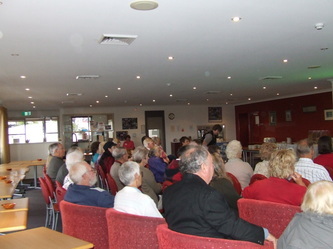 You can read the full story on the following Narooma News link and see a short video in a few days. Well done to the team. 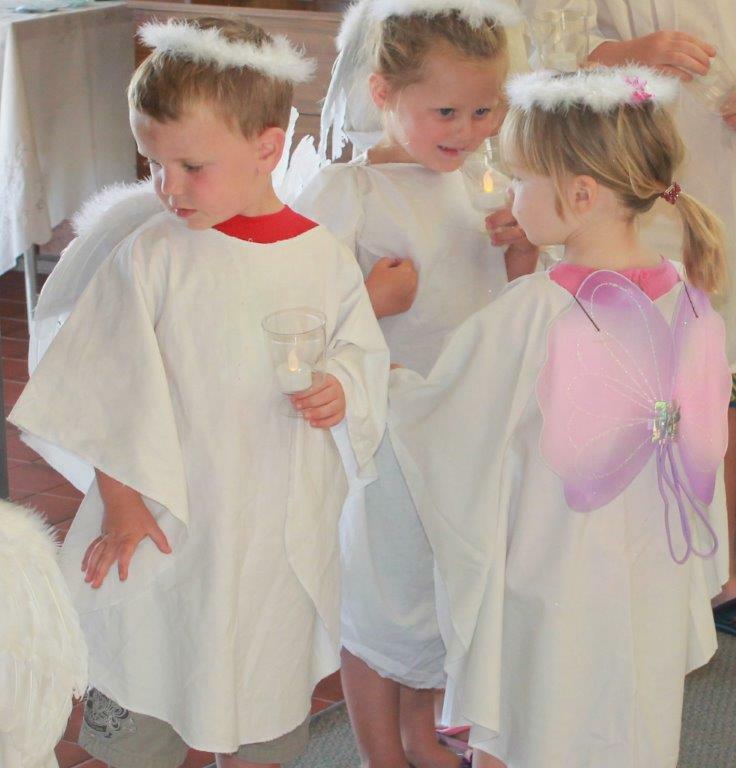 What a blessing you are to the people and children of Narooma. 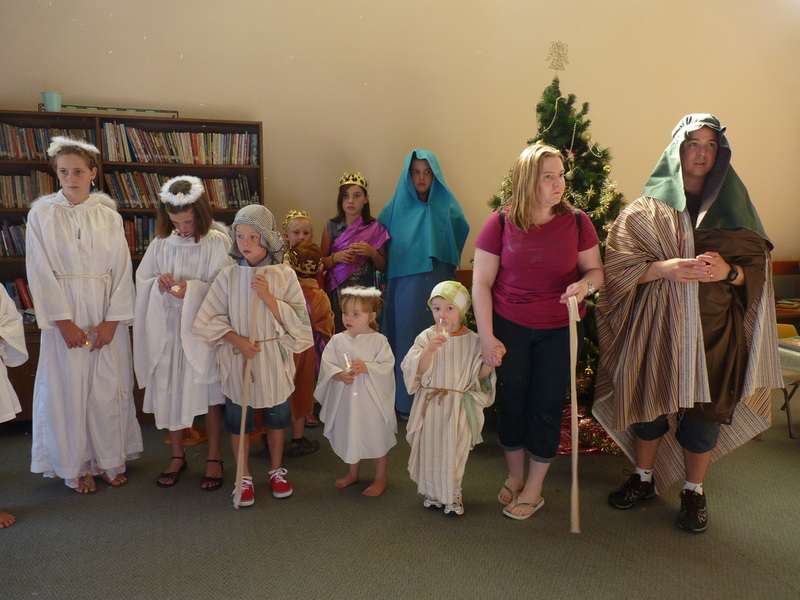 to the new Cobargo-Bermagui/Bodalla-Narooma shared ministry – our 1.5 days/ week being via Mainly Music & Messy Church. 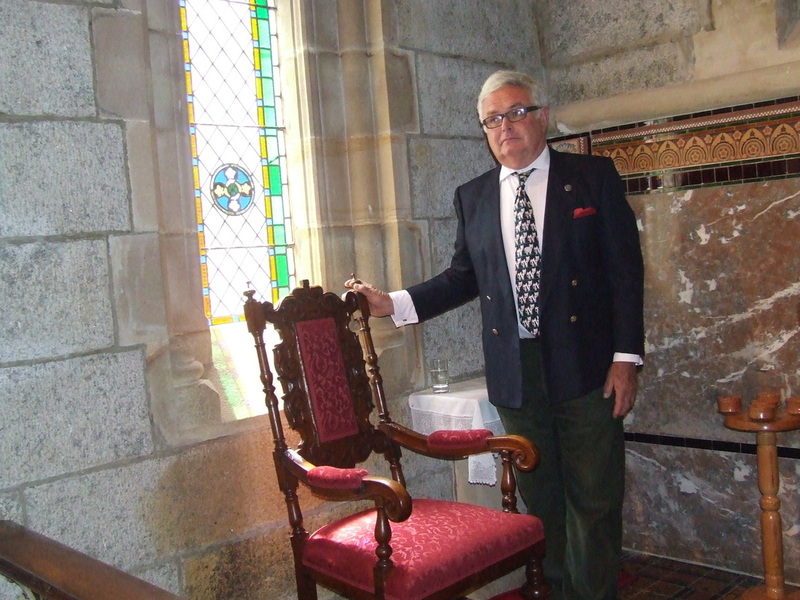 to prison chaplaincy and working with troubled youth. 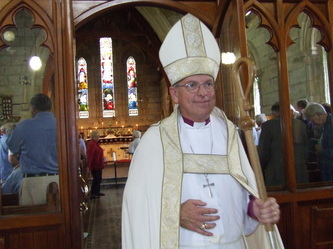 He has spent the last two years in Batemans Bay parish. He has a B.Th. 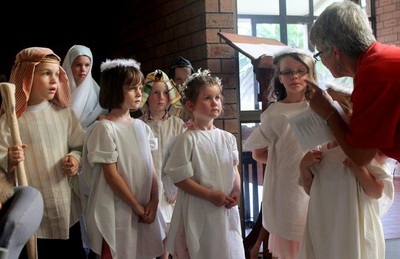 from Charles Sturt University, an Advanced Diploma in Ministry and Theology from St Marks (Anglican orders) as well as a B.Pr. from UNISA. The Narraways are delighted to join the team at Narooma/Bodalla and Corbargo/Bermagui & Quaama, and are passionate about people and seeing them grow in their relationship with Jesus. 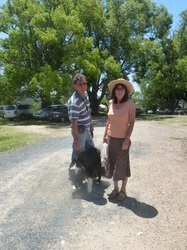 Tim’s hobbies include playing guitar, reading biographies, kayaking, art and photography, snorkelling, and cooking. 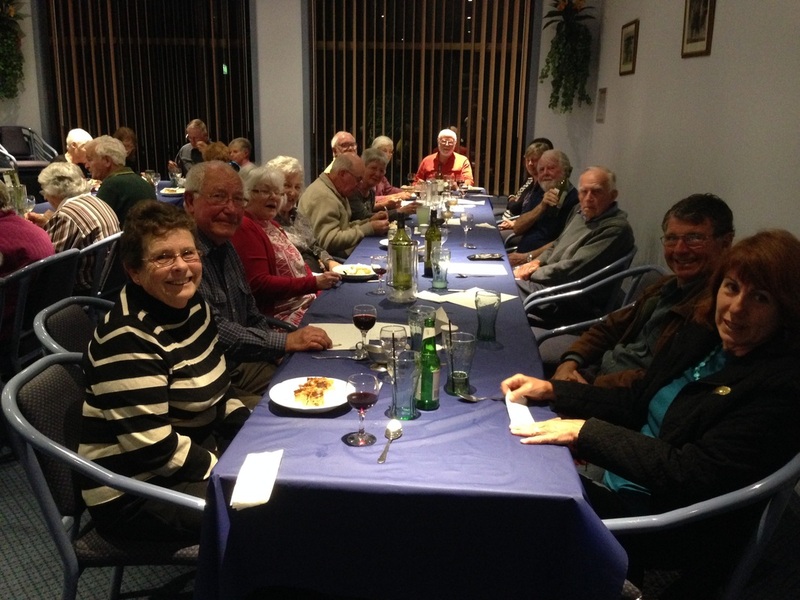 We will have dinner later at the Golf Club..
A carol service led by Rev.Jane Simmonds was held at All Saint's Bodalla Church on Thursday 7th December. Members of the IRT and Estia Aged care facilities participated in the service with readings leading to the carols. 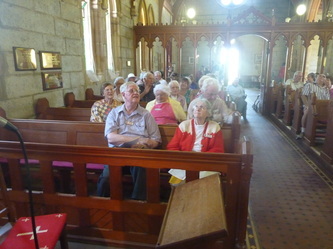 The residents were Bused to the church and enjoyed a sumptuous morning tea followed by the service. 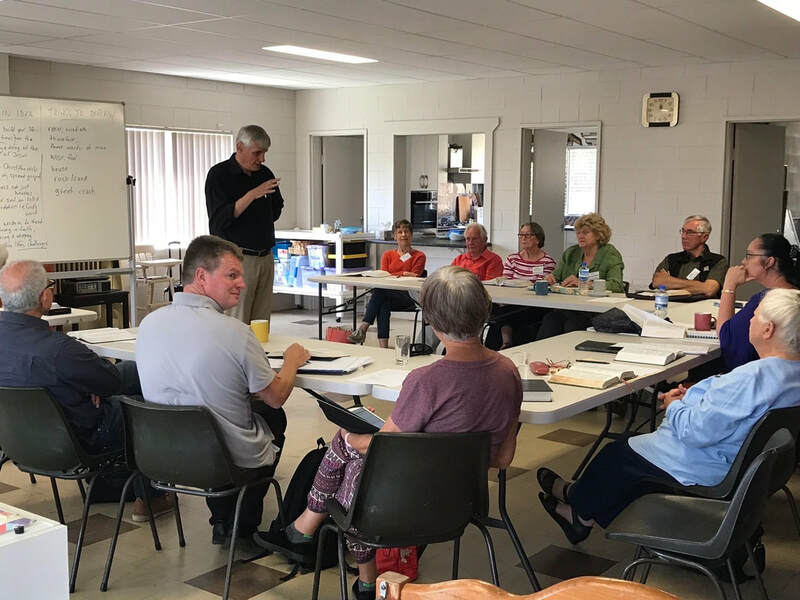 On Saturday 11th November, a group of 15 clergy and lay preachers from as far away as Bredbo and Batemans Bay, gathered at St Paul’s for a one day preaching workshop. 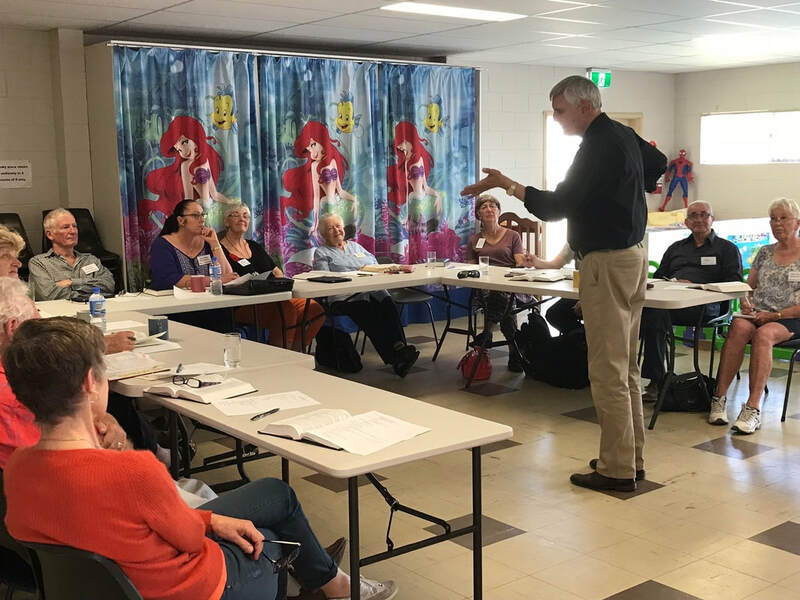 We were refreshed and inspired as internationally acclaimed preacher and speaker Mike Raiter shared with us his insights and experience on how to be an effective and engaging preacher. Throughout the day, Mike 'practised what he preached', keeping the group enthralled with his amusing anecdotes, entertaining stories and clear teaching. 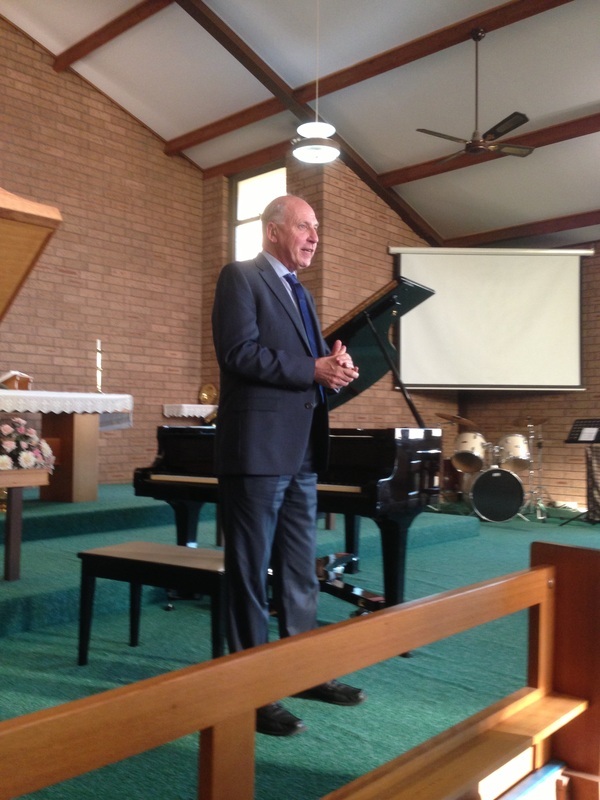 It was a brilliant day, leaving everyone greatly encouraged in their preaching. 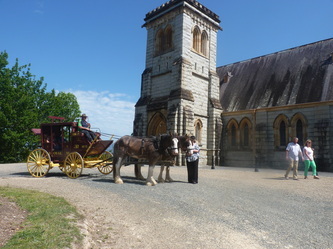 A large crowd gathered in the grounds of the beautiful All Saints Church at Bodalla for the Blessing of the Animals service, performed by Reverend Amanda Wheatley. The service was held under the lovely canopy of the trees on a gorgeous sunny day. 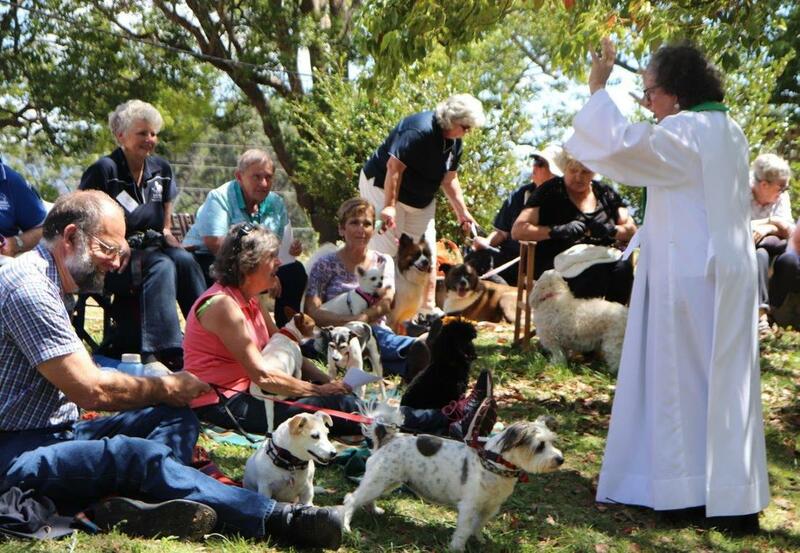 The Blessing of the Animals is celebrated around the world on or about October 4, which is the feast day of St. Francis of Assisi. Today, St. Francis, patron saint of animals and the environment, would most likely be viewed as an Earth Day advocate. His love was for all of God’s creatures. He cared for the poor and sick, preached sermons to animals, and praised all creation. 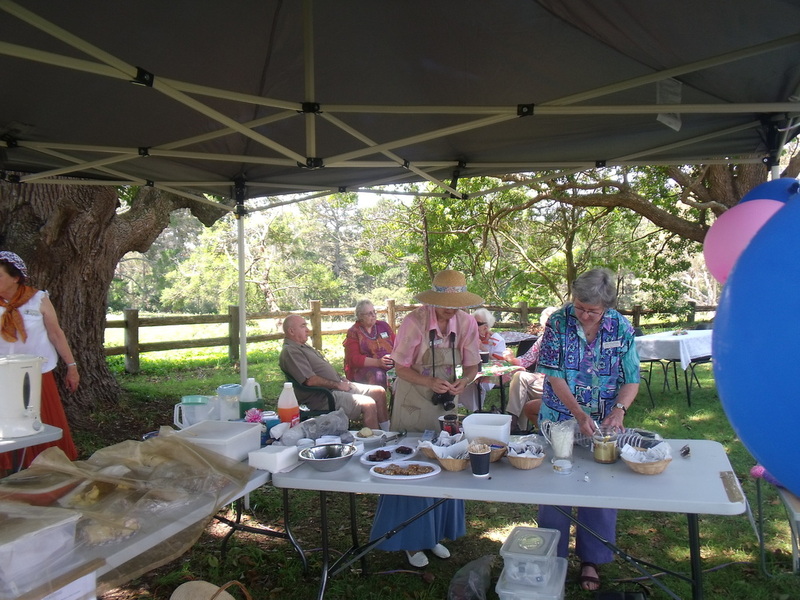 Offerings gathered on the day were donated to three animal welfare organisations - the RSPCA, the Animal Welfare League (AWL) Eurobodalla and Narooma Dog Training Club branches. Each animal received a special blessing from Reverend Mandy . Everyone went away with a key message of the blessing – take care of all animals as we would take care of ourselves. Animals are gifts in our lives, to be treasured. REV MANDY OPENS THE SERVICE BY SINGING UP PRAISES TO OUR WONDERFUL GOD. SOME OF THE CONGREGATION ON THE HILL. MANDY WAS ABLY ACCOMPANIED BY THE NAROOMA COMMUNITY CHOIR AND JUNE HEMMINGSEN ON THE ORGAN. DAVID & ANGELA AND THEIR "PHOEBE" PARTICIPATING IN THE SERVICE WITH REV KARLY AND "LOCKIE" IN THE BACKGROUND. 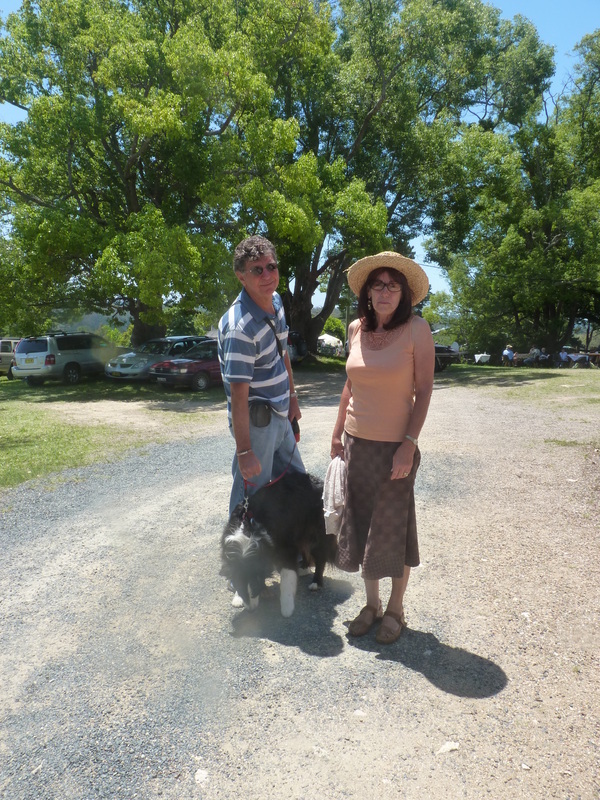 UNFORTUNATELY PHOEBE AND LOCKIE WERE A LITTLE INATTENTIVE ON THIS OCCASION. 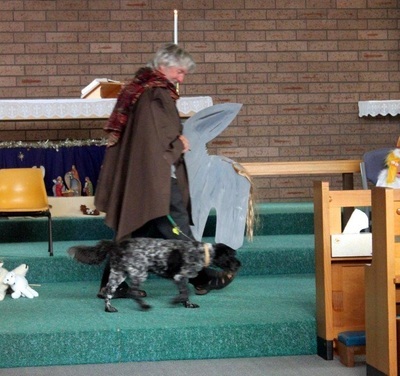 THIS DOGGIE IS SO GRATEFUL FOR HIS BLESSING AND JOINS MANDY IN PRAISING HIS MAKER. ED & LAUREL AND THEIR LITTLE FAMILY PET. BRIGITTE WITH HER TOBY . PAM WITH SWEET LITTLE NORA. 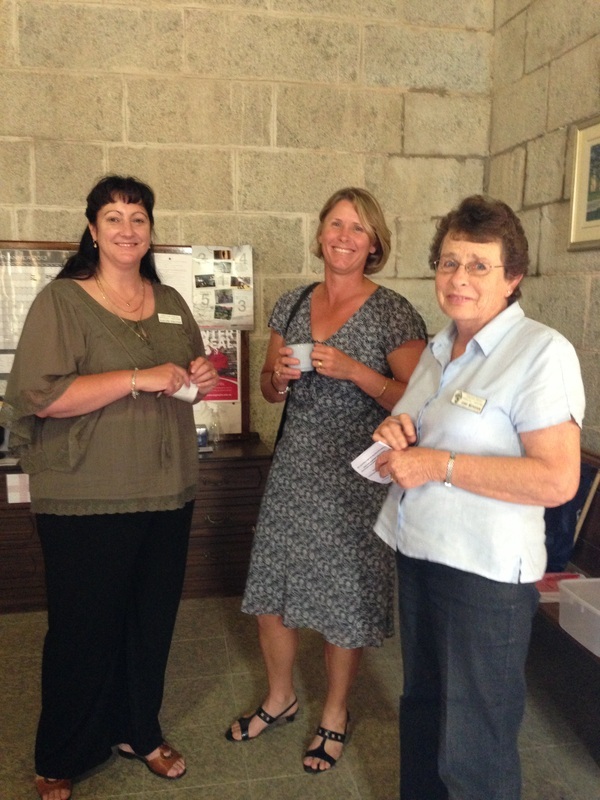 MANDY WITH REPRESENTATIVES FROM THE RSPCA AND THE NSW ANIMAL WELFARE LEAGUE. SIZE IS NO OBSTACLE. ABBY WAS PLEASED TO RECEIVE HER BLESSING. MANDY AND CAROL HELLMERS FROM THE ANIMAL WELFARE LEAGUE. NICE SERVICE BUT ABBY NEEDED TO COOL OFF. SHE WAS EXHAUSTED AFTER MEETING SO MANY NEW FRIENDS. THE MUSICIANS PLAYED ON AFTER THE SERVICE. Thanks to Rosy Williams for all these lovely photos! On 21st July 2017, we celebrated the Grand Opening of our new playground and kitchen. 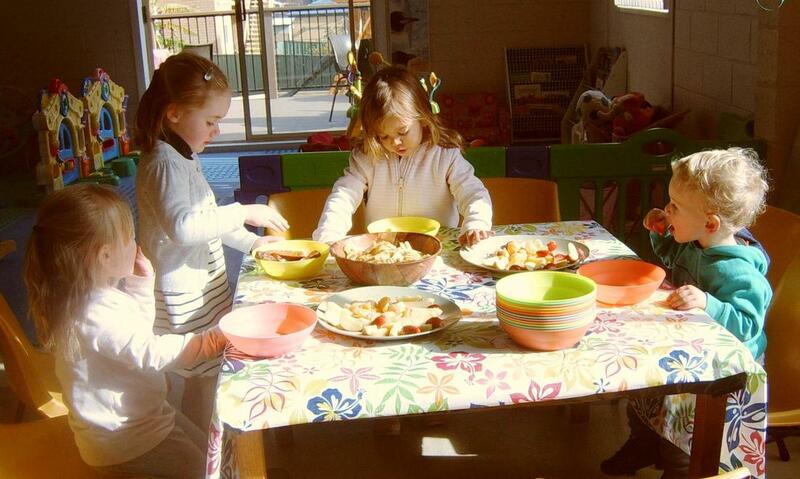 A vision for a secure and age appropriate outdoor play area for the children attending the Mainly Music program and the Toy Library and Play Cafe sessions emerged in 2015. In June 2016, we were very excited to learn we had been successful in obtaining a grant from the IMB Community Foundation. This was a fantastic boost to our plans and we thank the IMB for their generosity. These funds were a great blessing and with in-kind financing, the playground was able to come to fruition! Also in 2016, we were very blessed to receive a significant donation to update the kitchen. The ladies were kept busy in the kitchen. 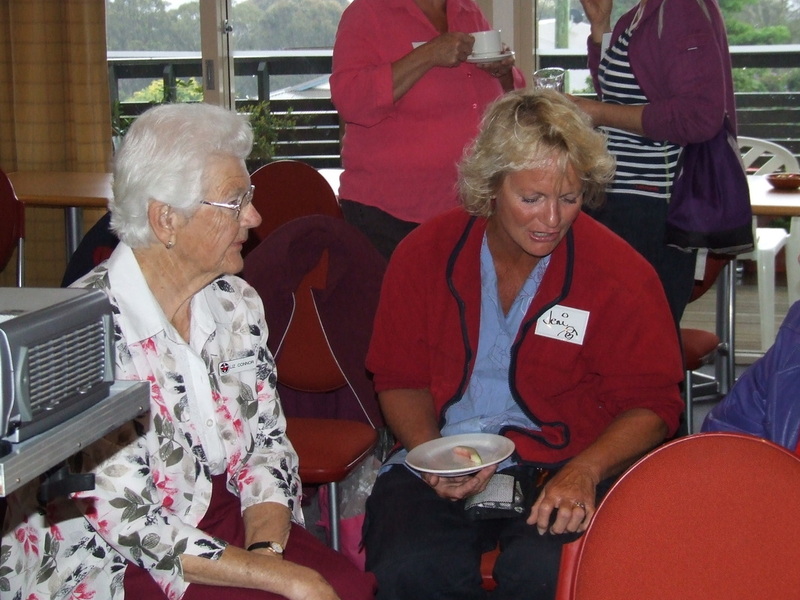 There were representatives from the other Narooma churches at the opening, as well as members of the community and it was a great time of fellowship and sharing. Elyse did the official ribbon cutting, but was too quick for the photographer! Just as well her friend, Layla, was there to carry on. Where would we be without our friends! The children were very happy to play on the new equipment. "WELL, I'M OFF TO WORK. SEE YOU LATER." HMM, THIS LOOKS SET FOR SOME SPECIAL VISITORS! THEA, MANDY & MARY ON BALLOON DUTY. OH BOY! THERE'S NOTHING LIKE A GOOD FEED AFTER A HARD PLAY. SOME MUMS ENJOYING THE SUNSHINE ON THE DECK WHILE THE LITTLE ONES PLAY. 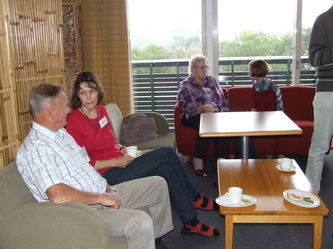 THE MORNING WAS GOOD FELLOWSHIP FOR ALL. SOME SPECIAL LADIES. Libby, Gwen, Myf and Mina. The Old Guard of the Kitchen apparently. "Oh how we'd have loved to work in that kitchen" Libby said. Don't see why she still cant??? HMM, THIS LOOKS LIKE IT COULD BE SERIOUS. ................ JUST JAM? OR JAM AND CREAM? THEA & MERINDA CATCH UP FOR A WARM HUG. Many thanks go to our Project Manager, Graham Small who did a wonderful job co-ordinating the construction of the playground and working many hours onsite. And a BIG thank you to our many, many volunteers who helped with the project. MAINLY MUSIC is on every Friday during school terms at 9.30 am and the toy library operates from 10 am. Everyone is welcome. We look forward to sharing with families lots of enjoyable, healthy outdoor time. Can you make some quiet time for God at the end of your day? Taking place as dusk begins to fall at 4pm, evening prayer is an excellent time to take stock of your day’s activities in a quiet reflective atmosphere. Keeping God at the centre of our days, evening prayer gives thanks for the day just past and makes an evening sacrifice of praise to God (Psalm 141:1). We celebrate the liturgical cycle of the seasons, we sing or listen to a hymn suited to the season. We recite the Psalm and canticle appointed to the day. We read the scriptures, and we pray for the needs of the world. In short, we step away from the demands of life in order to enter intentionally into the life and prayer of the church. Come and join us and millions of others throughout the world in lifting up our evening prayer to God. Thanking Him for the gift of another day, asking Him for mercy where we’ve failed, and trusting that He who is mighty will do great things for us. Filling us with His love and mercy, and trusting that He will give us His divine strength as we try again tomorrow and every day to do His will. ​On Sunday, April 30th, The renowned Fr Willis organ was showcased by two esteemed organists - Peter Jewkes and Prof. William Hawkey. They were supported by well-known local brass ensemble, Sorta Brass, led by Len Mulley. On Saturday 6th of April, we held a fundraising lunch and auction at Bodalla Bowling Club to raise funds for a Vision Radio transmitter in Bodalla. $1,200 was raised which brought our total to around $2,500. With out target being $5,000, we are half way there! 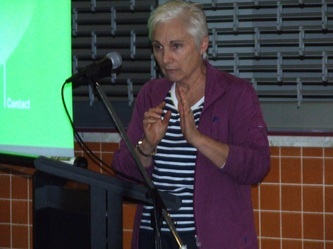 Special thanks to our organiser Di McMartin, and to those who assisted, and generously supported the function. Donations are always welcome! Please contact Di McMartin on 4476 2891 or 0418 817 205 if you would like to contribute. TWO CONCERTS HAPPENING IN APRIL - SEE CONCERTS TAB! On Saturday 27th of February, our own Karly Ferguson was ordained a deacon at St Saviour's Cathedral Goulburn, by Bishop Stuart Robinson. 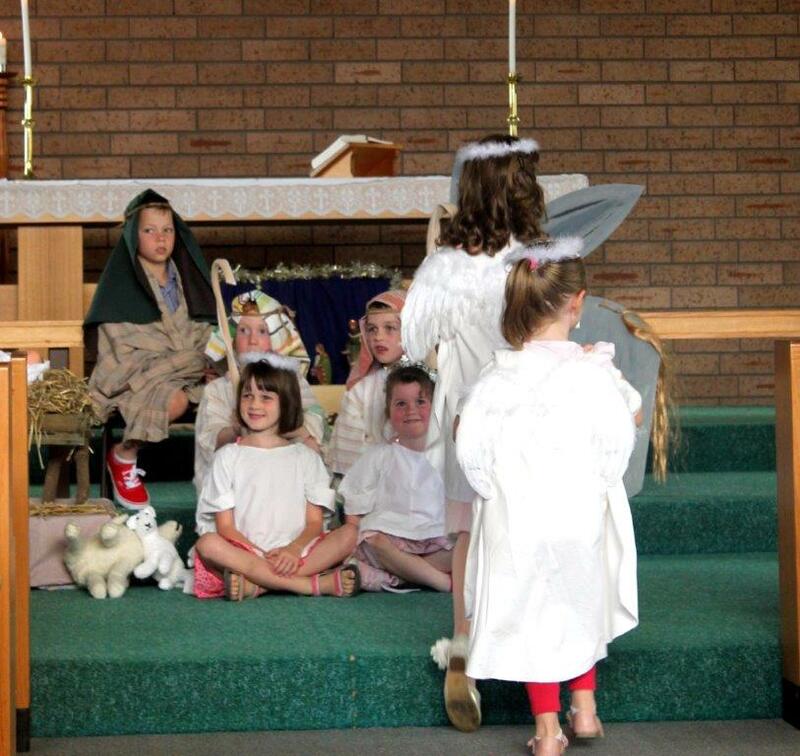 Karly was among 17 candidates ordained that day. 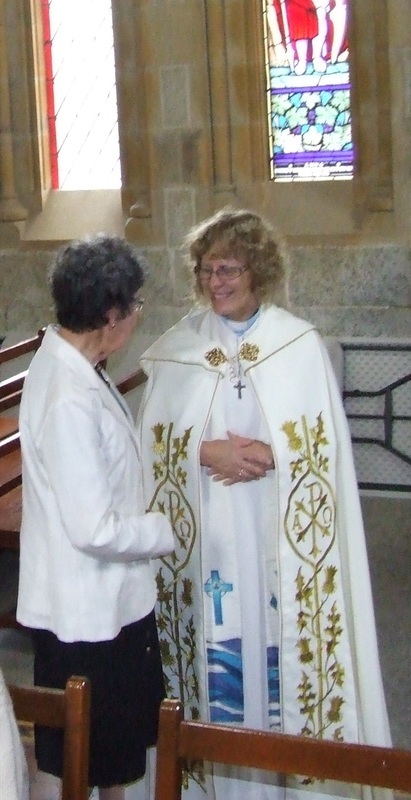 At the same service, our rector Rev'd Carol was 'collated' as Archdeacon for The Coast. 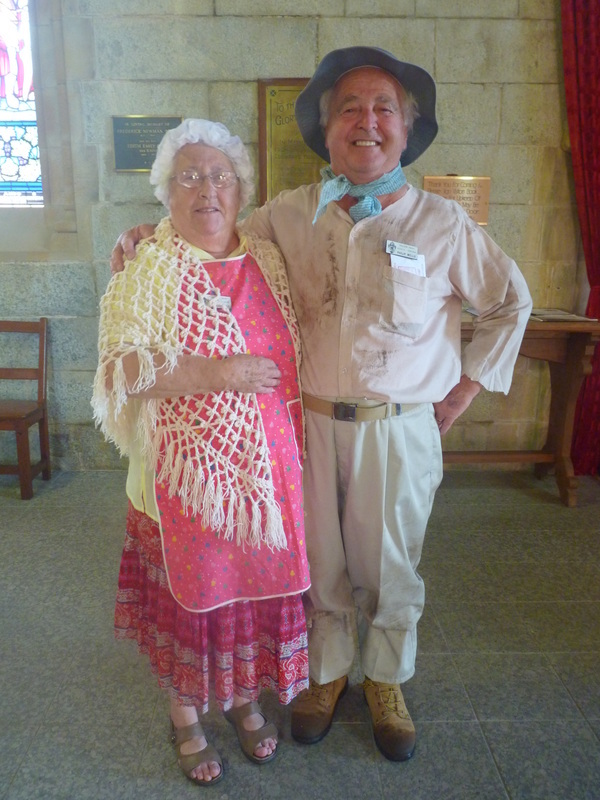 Rev'd Carol's 'patch' covers churches from the Victorian border to Batemans Bay, and encompasses the parishes of Sapphire Coast (including Eden, Merimbula and Pambula), Cobargo-Bermagui, Narooma-Bodalla, Moruya and Batemans Bay. It was a great day! 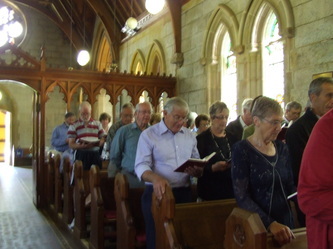 The parish hired a bus, and more than 40 people from our parish joined in the celebration with the 1100-strong congregation at the cathedral. (Right) Marie & her dog Charlie. Charlie's love of exploring the smells, & leaving his trademark, have motivated the group to take a walk following coffee. 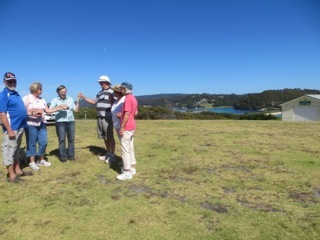 They also use the opportunity to keep Narooma beautiful by picking up any litter they find along the route. If you have some time on a Wednesday morning, why not join us? 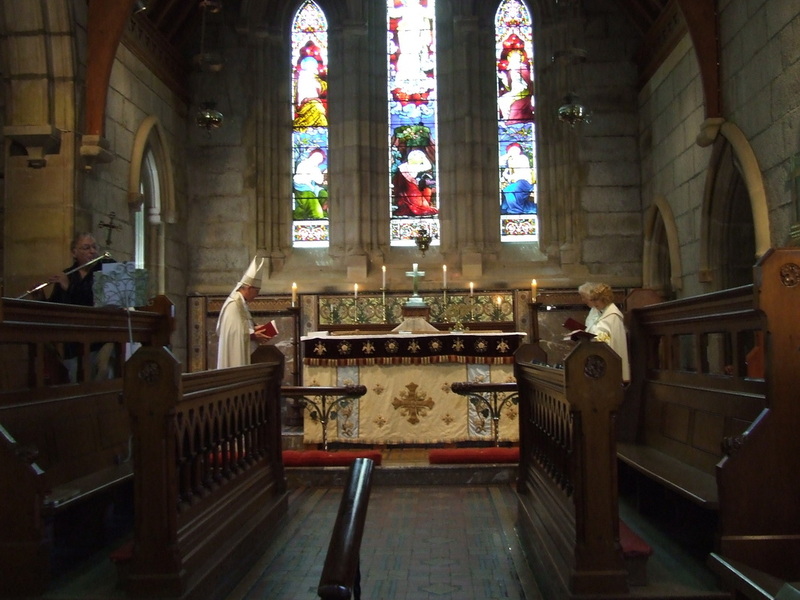 The 'Communion with Bach' service begins at 9.00 am and goes for half an hour. 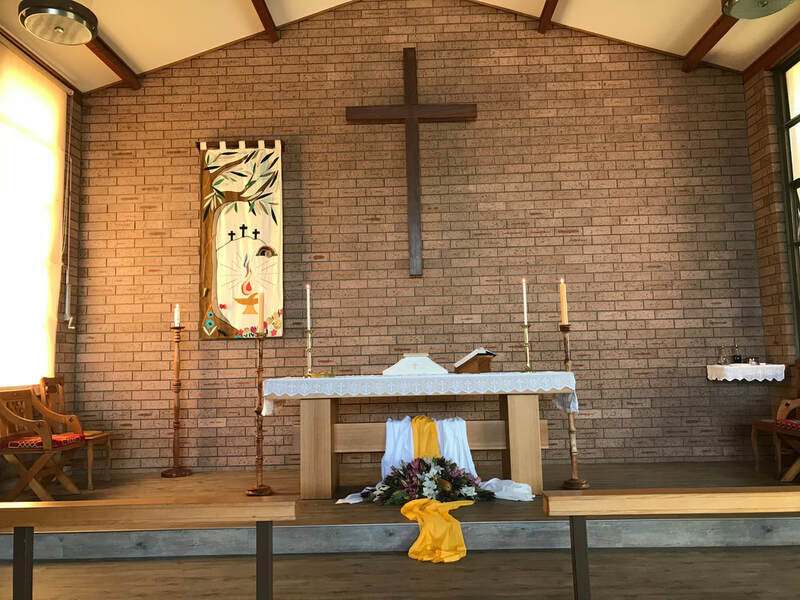 There is no sermon and the service features a time of silent prayer to a piece of beautiful classical music - sometimes J.S.Bach and sometimes other composers. ​Then there's coffee, chat & a walk. A lovely morning. 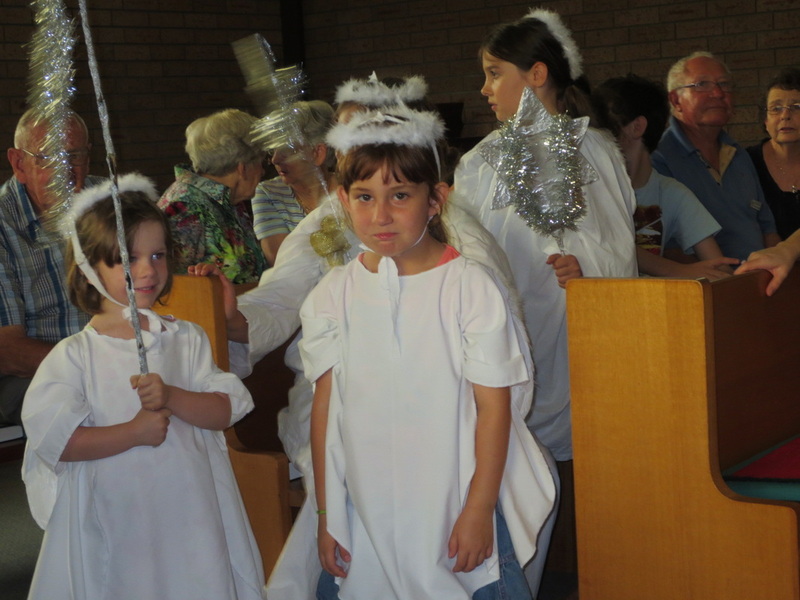 2015 CHRISTMAS PAGEANT, ST PAUL'S NAROOMA. 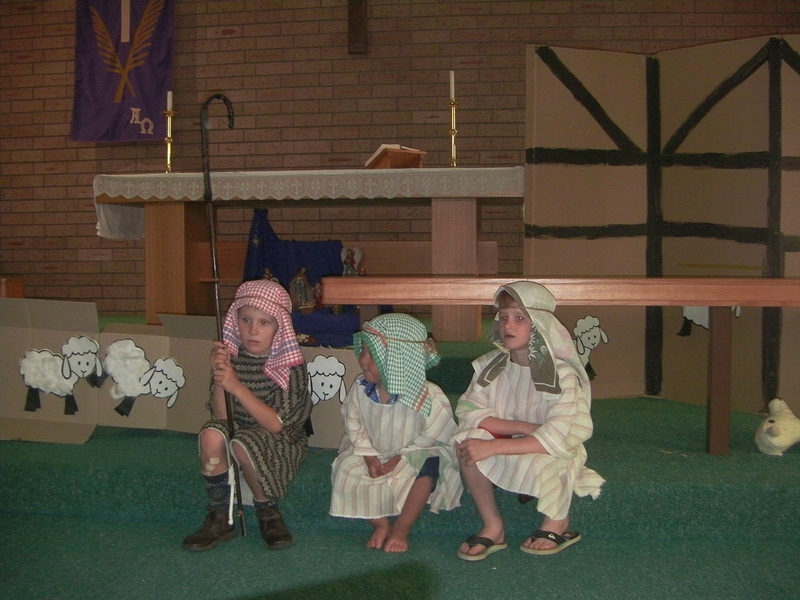 Our Scripture assemblies this year were held in the Primary School outdoor ampitheatre. 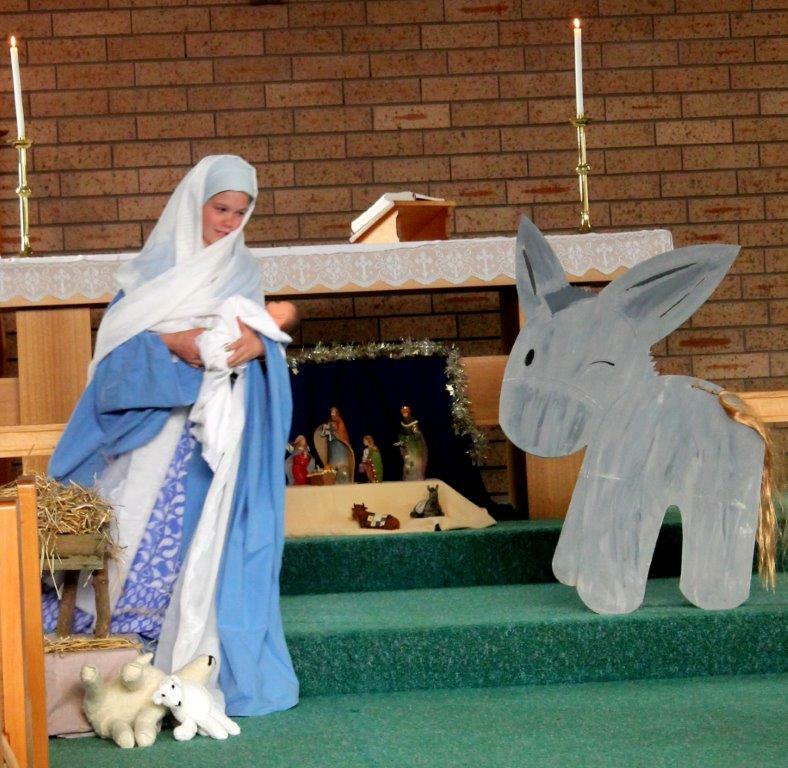 God blessed us with a beautiful day, and we were able to lead the children through the Christmas story, with the help of the St Paul's Puppets and some hearty carol-singing. Thanks to Merinda Antill and Sue Jones for their assistance with the presentation, and to the wonderful volunteer Scripture teachers who have faithfully and enthusiastically taught the children throughout the year. Our lovely Maria Selva Kumar comes of age! Congratulations, Maria! REV. JANE baptising her grandson Thomas at All Saints' Bodalla on Sunday 11th Jan.
Elena Nikulina and Natalia Tkachenko met in Canberra in 2007. 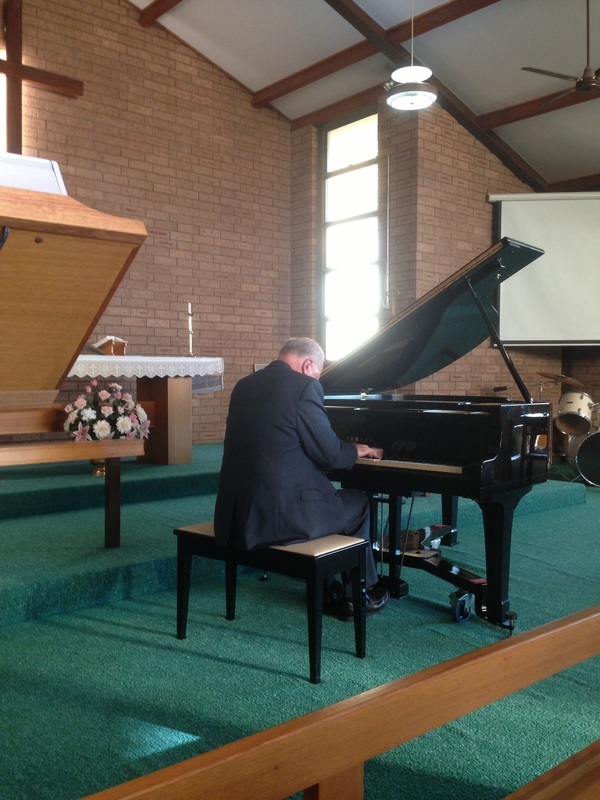 Their shared love for the piano duet led them to play together and explore the repertoire. 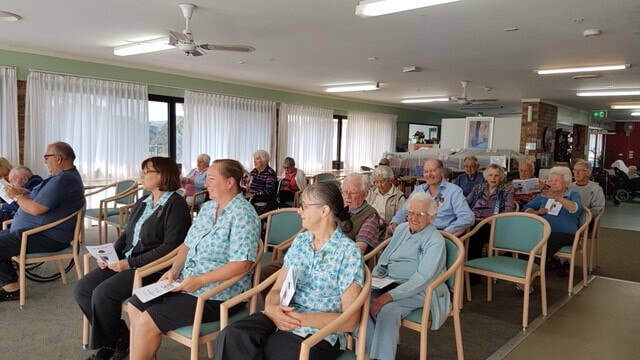 They began to give performances in 2013 and have since performed in numerous venues including the National Library of Canberra and the Wesley Music Centre. Elena Nikulina graduated in 1999 from the Donetsk State Conservatoire, Ukraine. She was winner of the Donetsk State Conservatoire Best Accompanist prize and was selected to represent the Ukraine as a member of the piano ensemble at the Pavia Music Competition in Italy. Her wide-ranging repertoire covers classical concertos, sonatas, operas, arias, romances and pieces in the modern style. 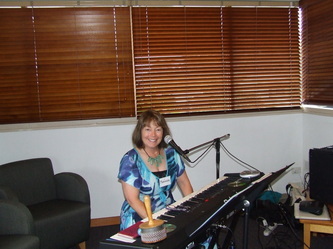 Since coming to Canberra in 2006 Elena has performed as a soloist and accompanist. Elena is a dedicated piano teacher and prepares students for Ukrainian and Australian Music Examination Board examinations up to LMusA. Natalia Tkachenko graduated with honours from the Moscow State Institute of Music. She was accompanist at the Moscow National Theater Institute from 1992 to 1998, performing works such as Leonard Bernstein's West Side Story and operettas by Isaak Dunayevsky. In 1996 Natalia performed the piano part in the Samuel Beckett play Waiting for Godot at a South Korean theatre festival and performed works by Rimsky-Korsakov, Tchaikovsky and Verdi with the Youth Opera Theater in Moscow, France and Germany. 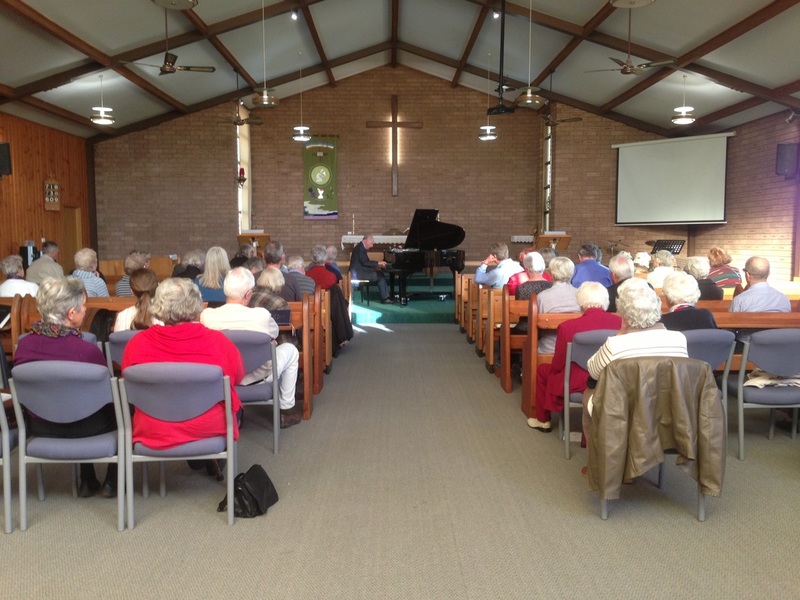 Since her arrival in Canberra in 2003, she has performed as an accompanist, winning the prize for Best Accompanist in the Australian National Eisteddfod in 2006 and performing with cellist David Pereira in 2008. 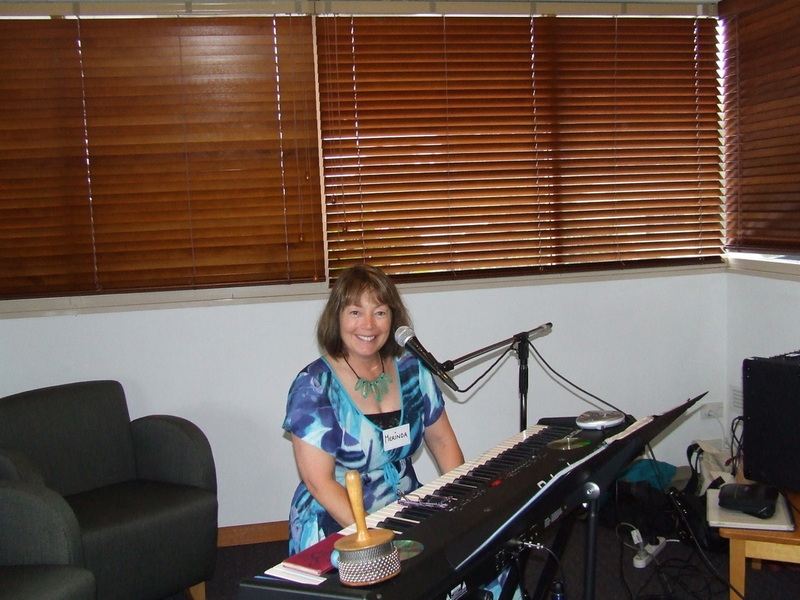 Her outstanding work as a piano teacher was recognised when AMEB NSW placed her within the top five teachers for 2013 in the category Private Teacher Pianoforte – Preliminary to Sixth Grade. TICKETS: Adults $25, Students $10, Concession $20, Children under 16 FREE. 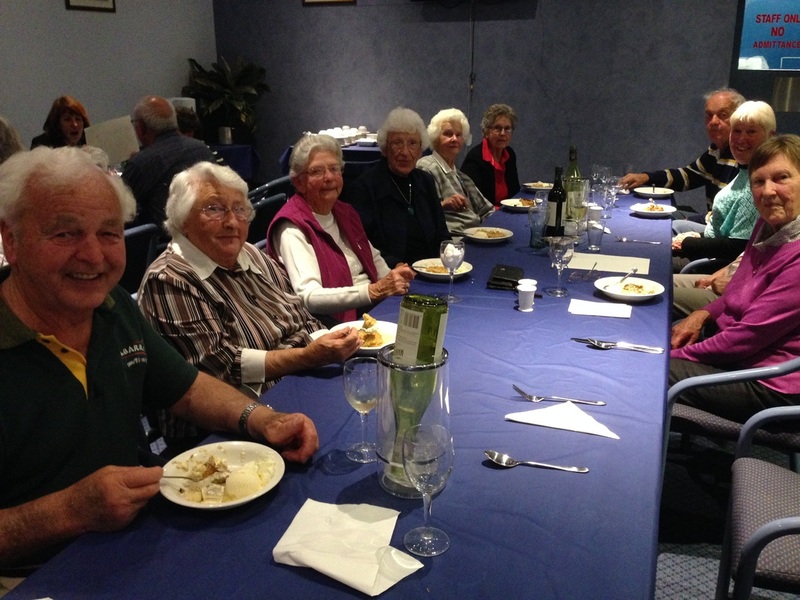 The parish dinner at the bowling club was a great evening! 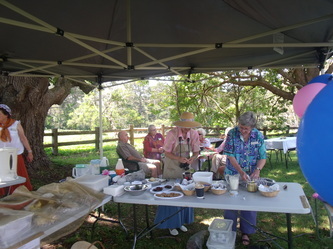 The club served a wonderful meal for the 36 guests, and we raised over $480 towards the cottage fence. 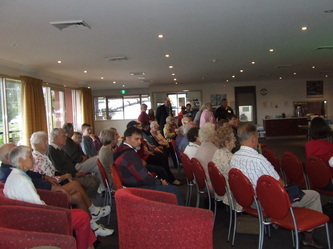 4.00 pm in the hall, 11 Tilba St, Narooma, continuing on the 1st Sunday of every month. There is a play area for the children and a meal to follow! 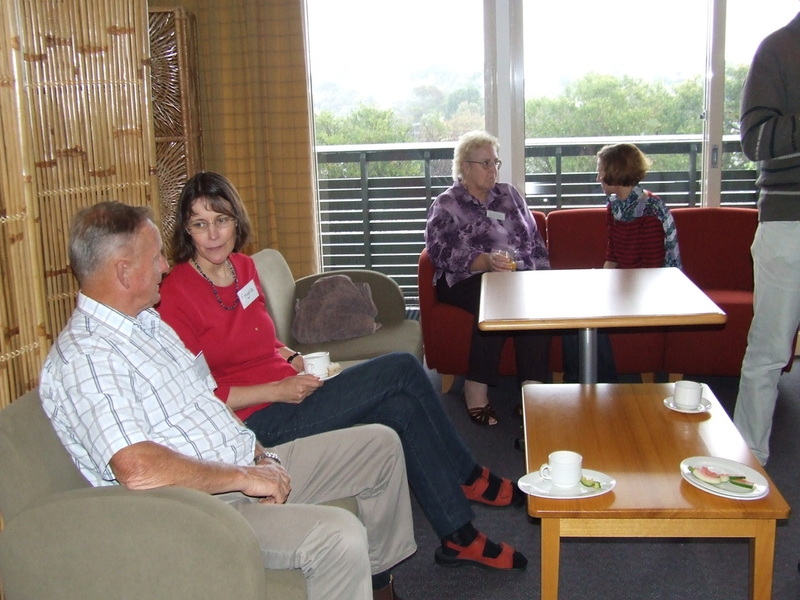 These were some of the comments after the first café church service held at the Anglican Church in Narooma on Sunday 7 September. 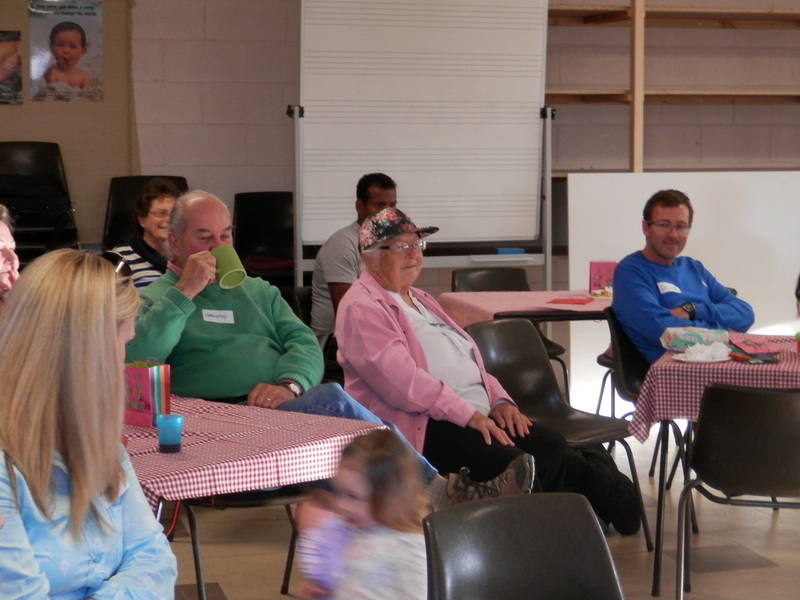 The church hall had been transformed into a café attractively arranged with tables and chairs in an informal style and the service began with coffee and cake. Carol Wagner led some lively singing, and the children, and some adults, helped with shakers and other instruments. 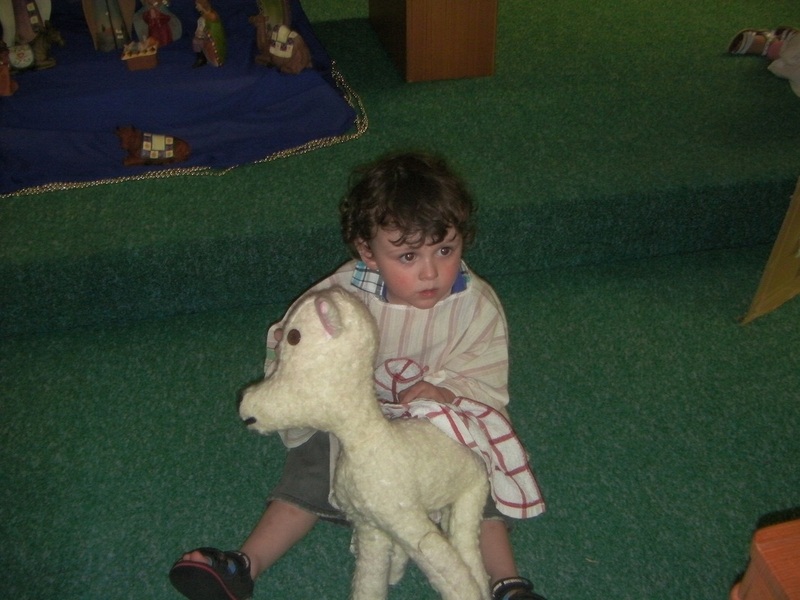 After a short children’s talk the new play area was the focus for the children while the service continued with a message and informal discussion. After the service more tea and coffee and sausage sandwiches were available for those who were able to stay. The Café Church service will be held on the first Sunday of each month beginning at 4pm. For any inquiries please phone Carol on 4476 3049. 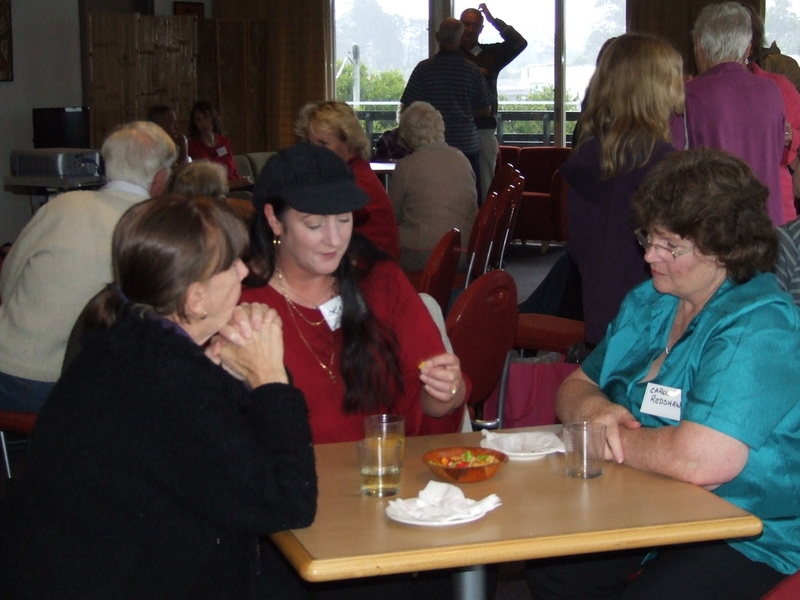 CAFE CHURCH is friendly and informal. Children are welcome and the coffee is always on. 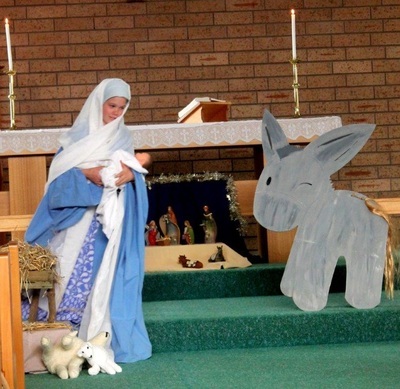 Each service there is a story for the children, after which they are welcome to enjoy the play area while parents & others share together around God's word. Come and join us on the first Sunday of each month at 4.00 pm. and shocking famine in South Sudan. For catering purposes, please ring Rev. Carol on 4476 3049 if you would like to come. Cottage Fundraising lunch at the ABC Cheese shop at Central Tilba. Thanks Orit for a great spread! 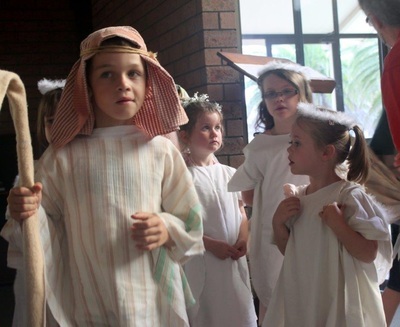 St Paul's Family Christmas Pageant is always a wonderful way to celebrate 'the reason for the season' with family and friends. This year, not only did we have a wonderful cast of children and parents, but also enjoyed a story from St Paul's Puppets, who shared a story of the first Christmas with us. In August, 2013, the purchase of no 7 Tilba St was finalised. Due to funds held in trust from the sale of the youth worker's cottage many years ago, together with the amazing generosity of parishioners and visitors, the parish was able to buy the cottage free and clear.Much hard work has gone into renovating the cottage. It has been repaired & painted, and now has a new (2nd hand) kitchen and re-modelled bathroom & laundry. 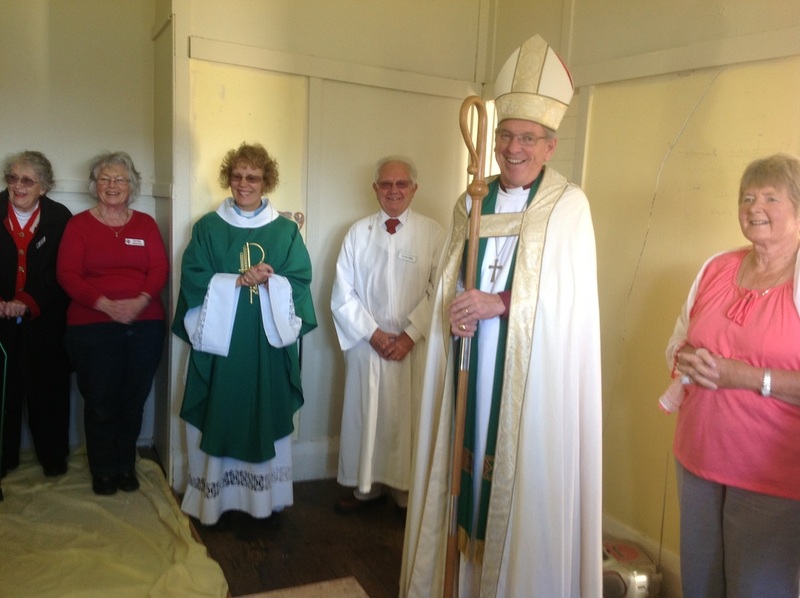 Once renovations are complete, the parish, in conjunction with Red Cross, hopes to provide accommodation and support for a refugee family seeking to settle in the area . 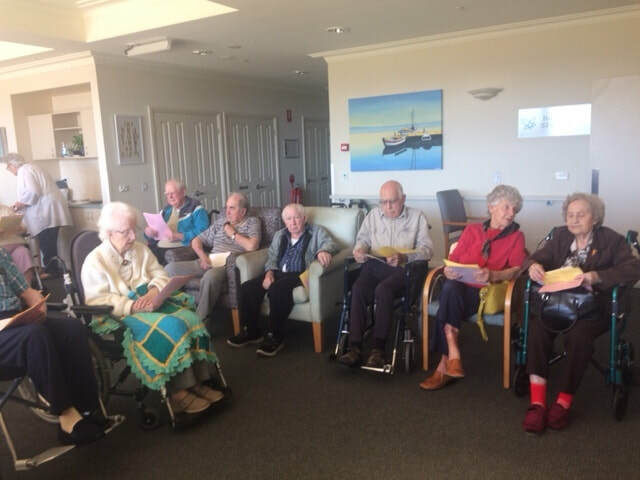 Computer Buddies is a group for people who want to learn more about their laptop, iPad or android tablet and their associated programs and apps; for example, working with files, photos or music; downloading apps; online purchasing or banking; applications such as Ebay, Facebook & Skype. 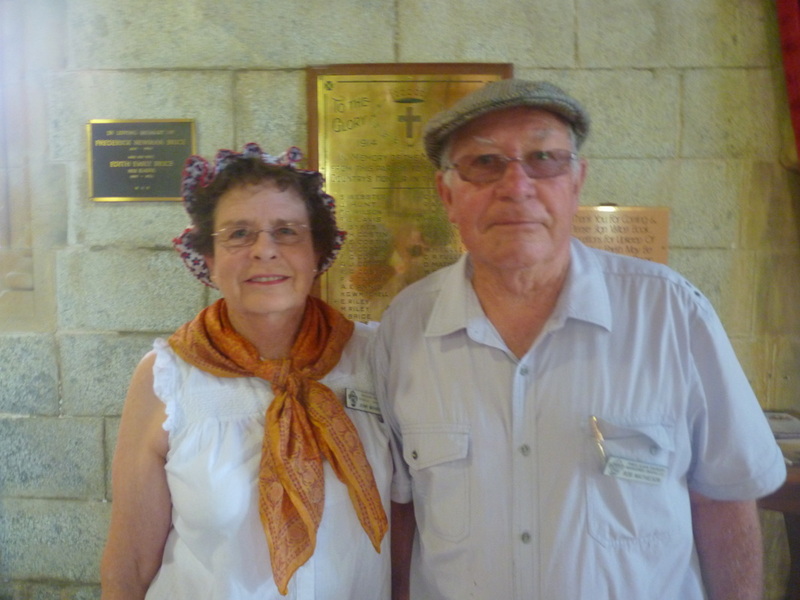 One hundred and ninety birthdays between them! 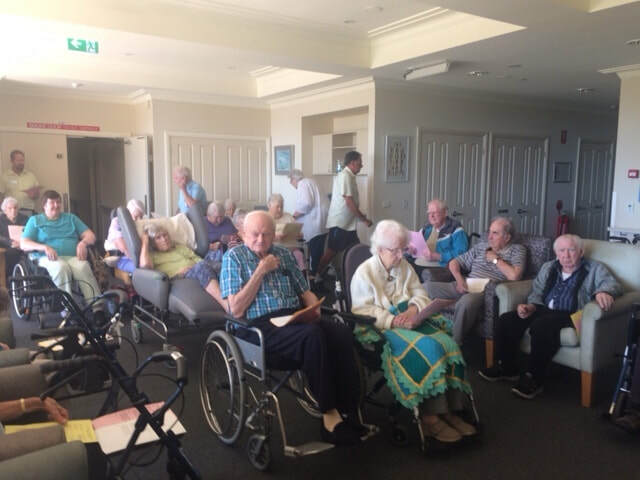 On February 20th, Jack Emmott celebrated his 100th birthday. Then on Saturday 23rd of March, his wife Marion celebrated her 90th. Between them, that's a lot of birthdays! 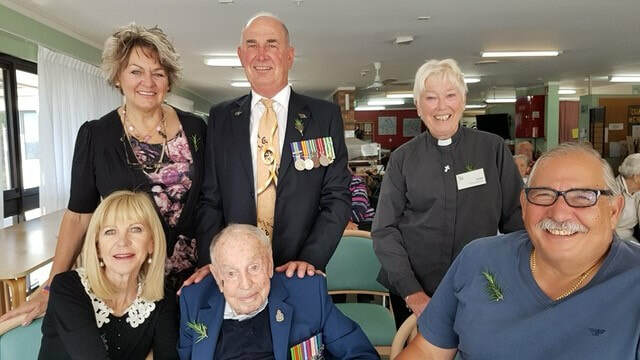 In addition to her birthday celebrations at home with her family, Marion was thrilled to be taken to lunch by her 'Know Your Bible' group, and was surprised by a special cake following the Sunday morning service at All Saints Church. 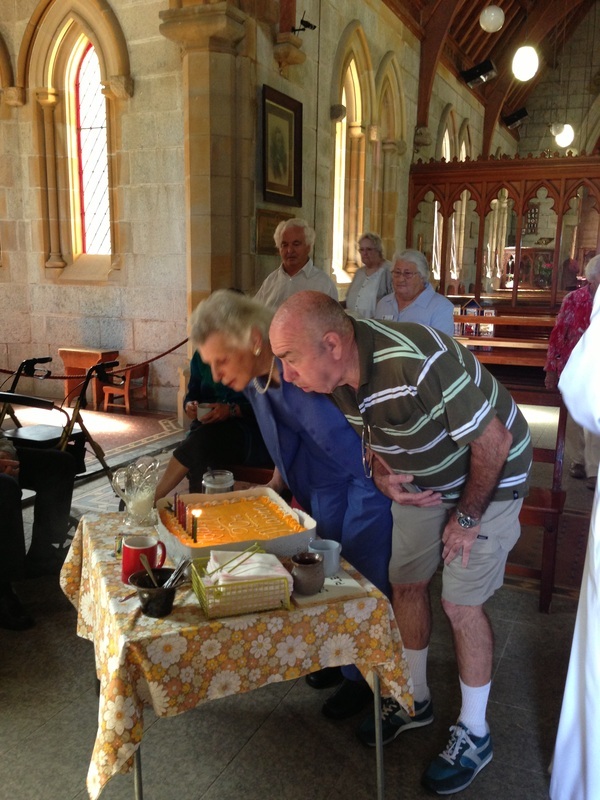 John & Marion, may you both enjoy God's continued blessing, with good health and many more birthdays together! The concert by the Chamber Philharmonia Cologne was one to remember. 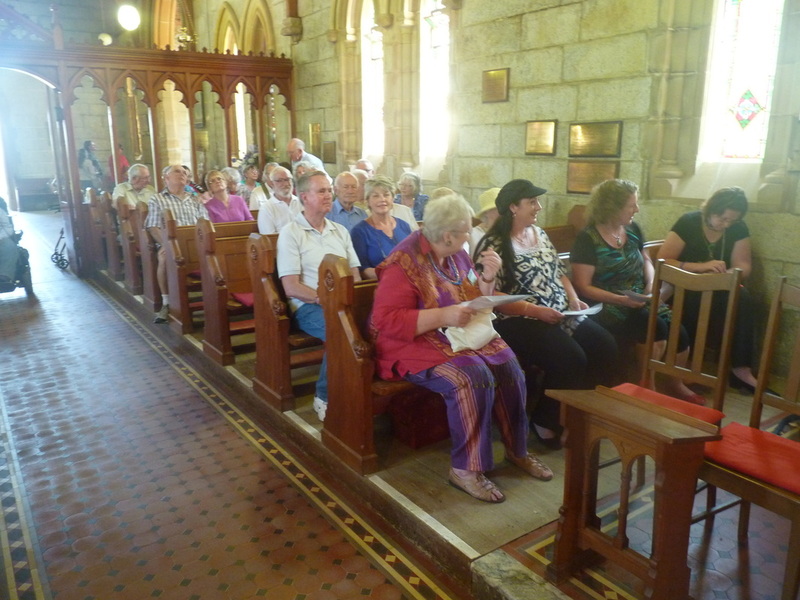 The church was filled way beyond it's usual capacity - seating 200 eager concert goers who had travelled from as far as Batemans Bay and Mystery Bay to attend. 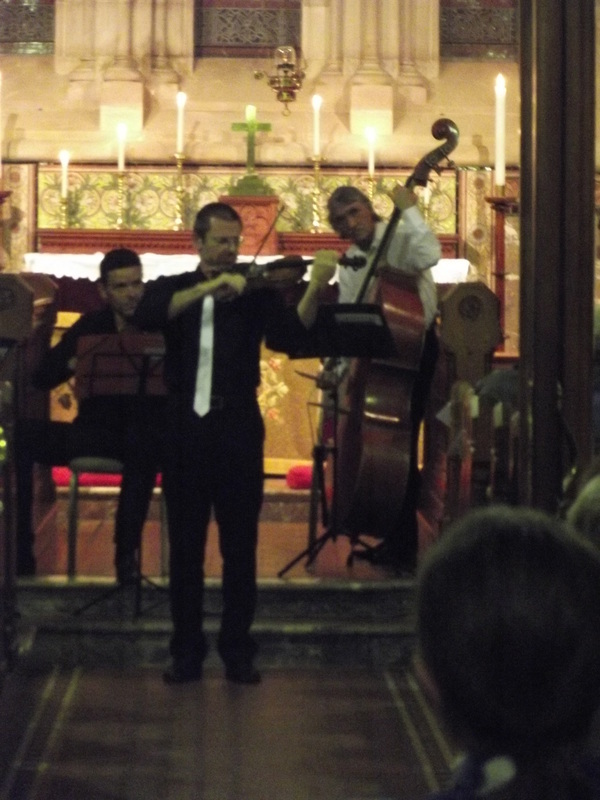 The program covered a wonderful selection of classics, spanning the Baroque, Classical and Romantic periods. The finale was a virtuosic piece from the Romantic period - 'La Campanella' by Paganini in which the solo violinist had the audience holding it's breath. Bodalla is richer for this evening of wonderful music and we very much look forward to return visits from the Chamber Philharmonia Cologne in the years to come. 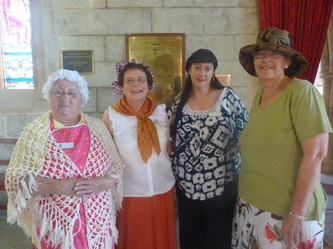 A group of PRAYERS prepare the way for Bishop's Stuart's February 2013 Walk with the Cross from Eden to Canberra. 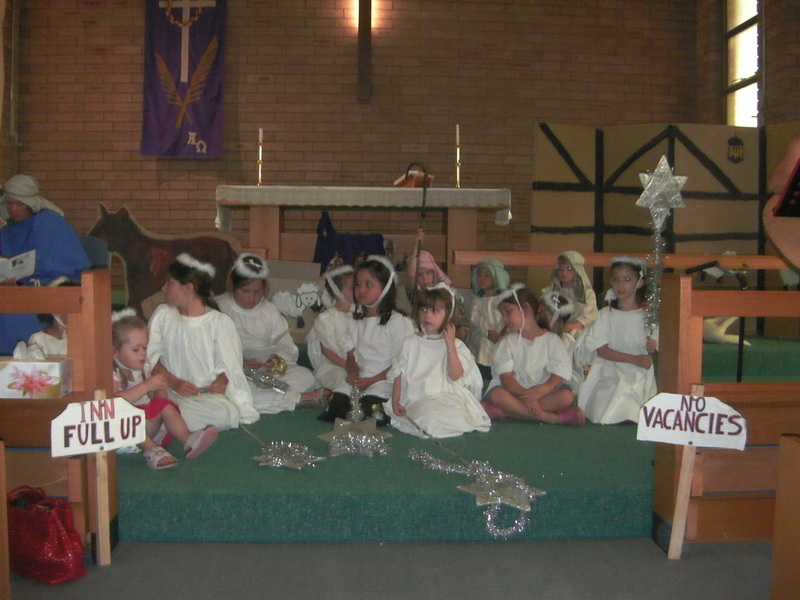 At 4.15 on Christmas eve, Children and adults began pouring into the church and the dressing up began, ready for the pageant at 5.00 pm. 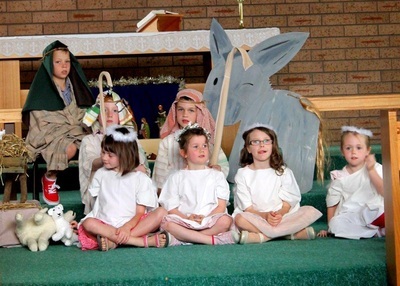 This year we were delighted to have the Cooper family involved - Adrian and Tracey took the roles of Joseph and Mary, tiny Alexander was baby Jesus and Adrian's father Colin was one of the three kings! 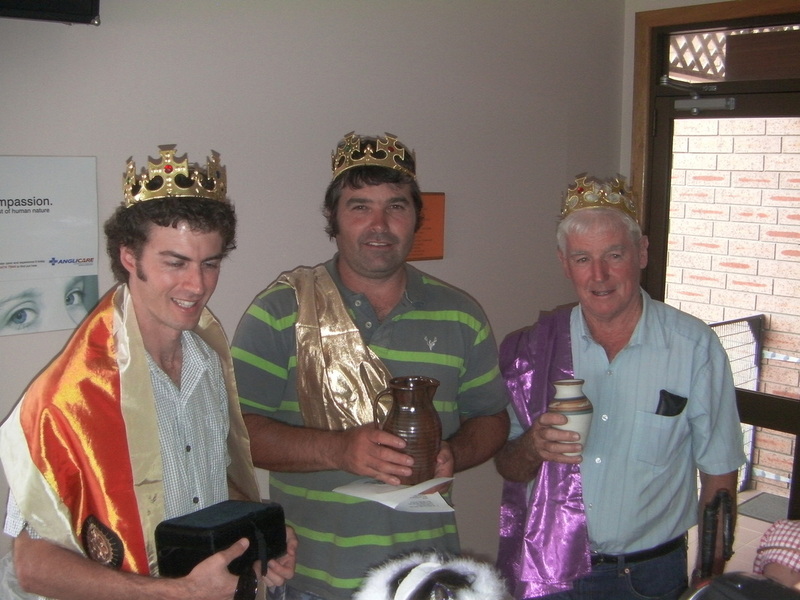 There were angels and shepherds in abundance and two more wonderful dads as kings. 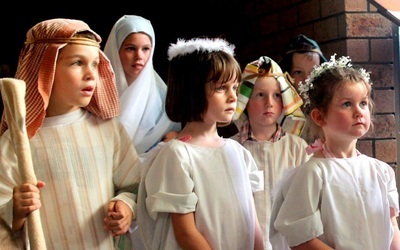 Through the carols, readings and re-enactment of the story, the congregation was drawn in a fresh and vibrant way into the wonder of the Christmas story. Thank you to all who took part, and to all who came along to celebrate Christmas with us! Our Youth Pastor Anita Harris being prayed for as she goes forward to serve the Lord. 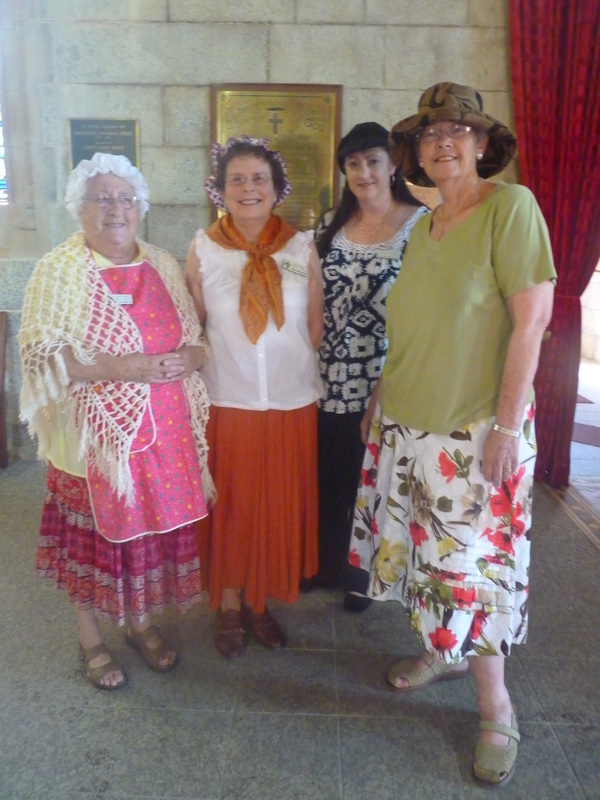 Anita is on her way to Israel and the Soloman Islands, and then to join with the Batemans Bay Parish. God's Blessing and safe traveling Anita from all of us at Narooma and Bodalla. Arthur Winn - Rector's warden, Pauline Rundle - St Paul's people's warden, Rev. Carol Wagner - Rector, Marie Small - St Paul's people's warden, Sue Jones - elected councillor, Anita Harris - appointed councillor, Phil Wells - All Saints people's warden. In 2011, a Mainly Music group began at the Community Hall in Bodalla. 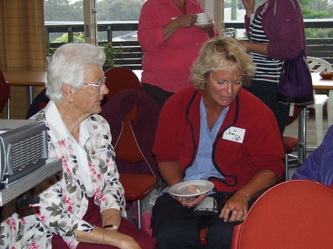 It was a resounding success - so much so, that we will be offering a second Mainly Music class in 2012 in Narooma. Mainly Music is a fun music group for parents or caregivers to enjoy together with their child or children aged 0 - 5. Throughout the morning, children develop gross and fine motor skills, language, imagination, maths and pre-reading skills, as well as becoming familiar with the 'building blocks' of music - pitch, rhythm, melody, dynamics, etc. Children have the opportunity to be creative through singing, movement, playing percussion instruments and so much more! The half hour music session is followed by a nutritious snack and a free play time while parents and caregivers can relax and chat over a cuppa. And as well as having a fun, creative family time, there is also a chance to think about the God-part of life. 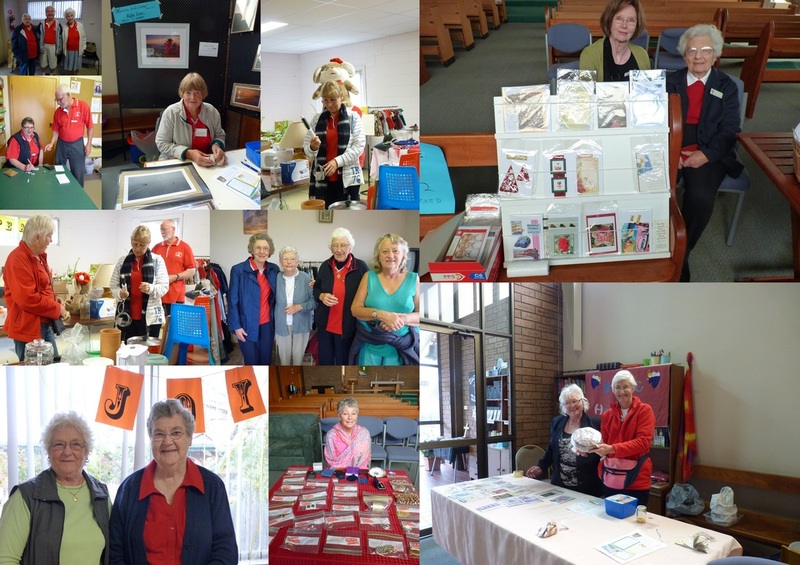 and the Narooma group will be on Friday mornings at 9.30 in the St Paul's Hall in Tilba St, starting on the 17th of Feb.